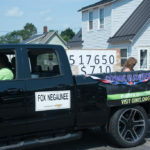 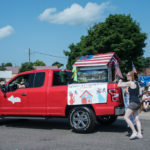 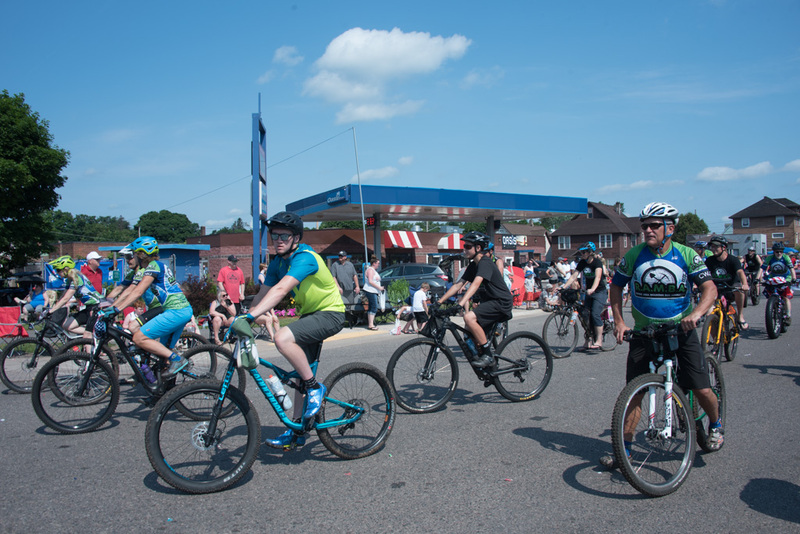 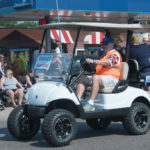 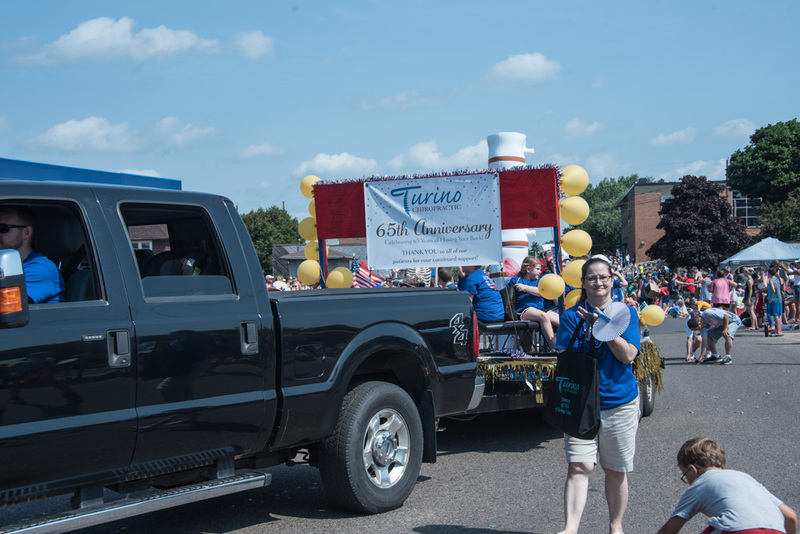 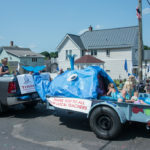 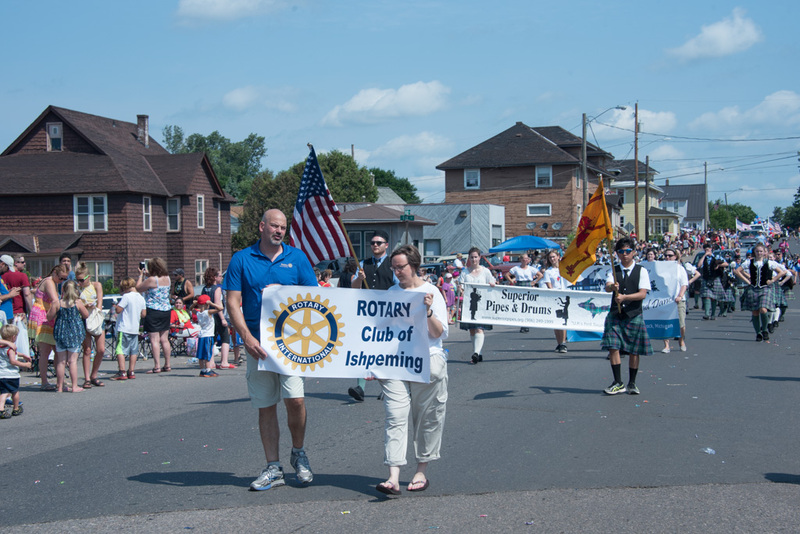 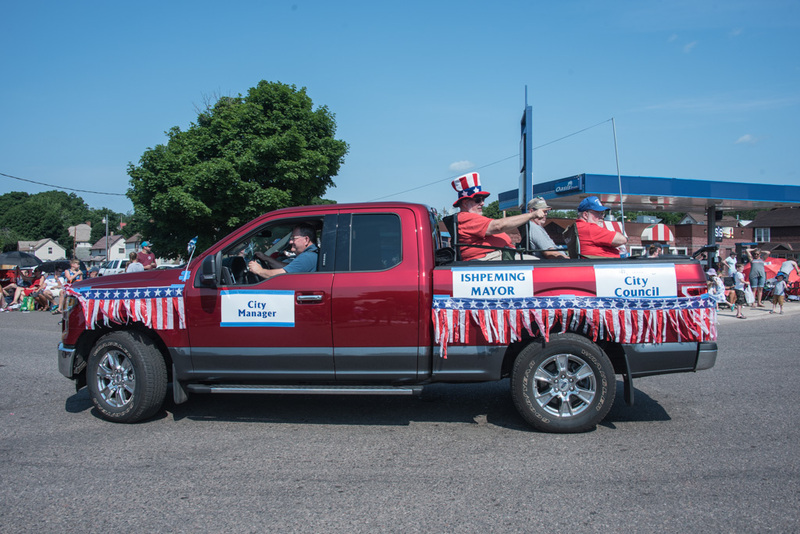 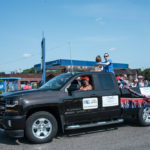 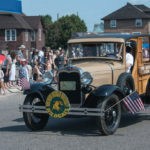 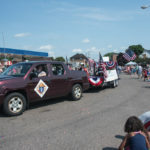 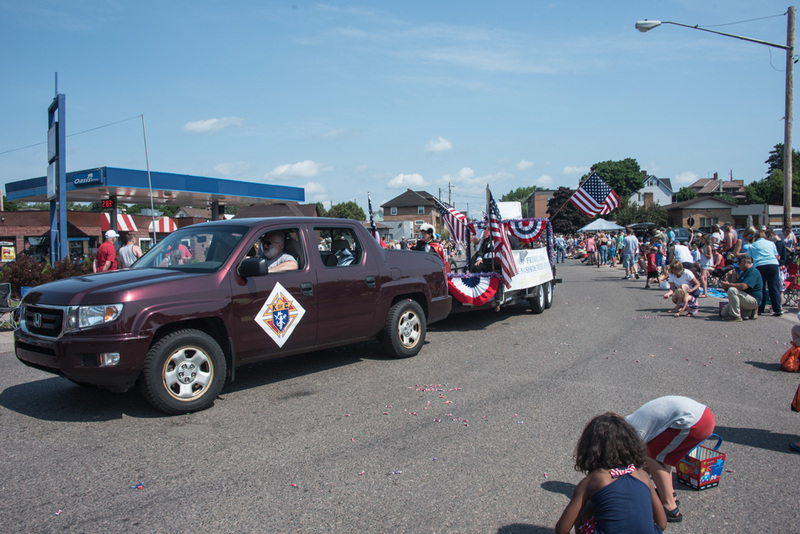 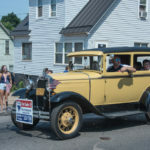 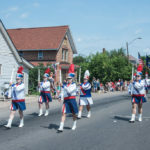 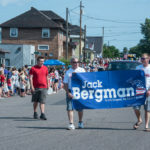 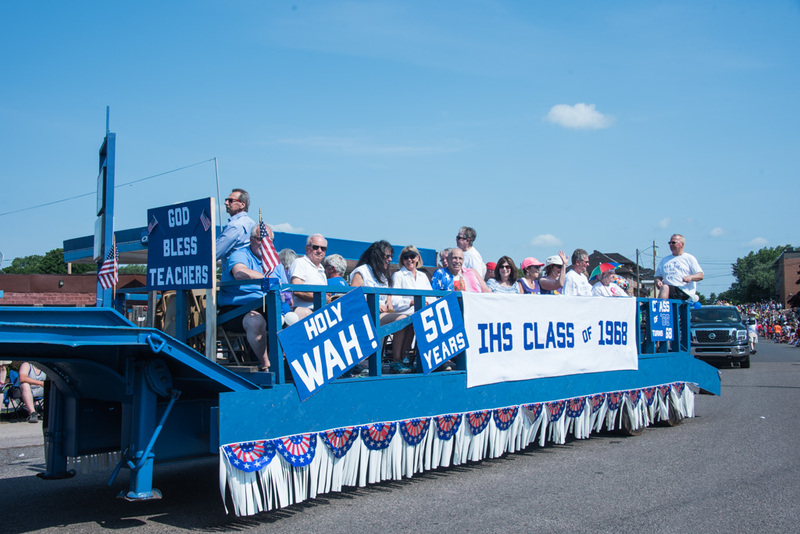 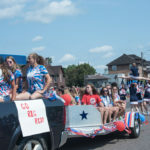 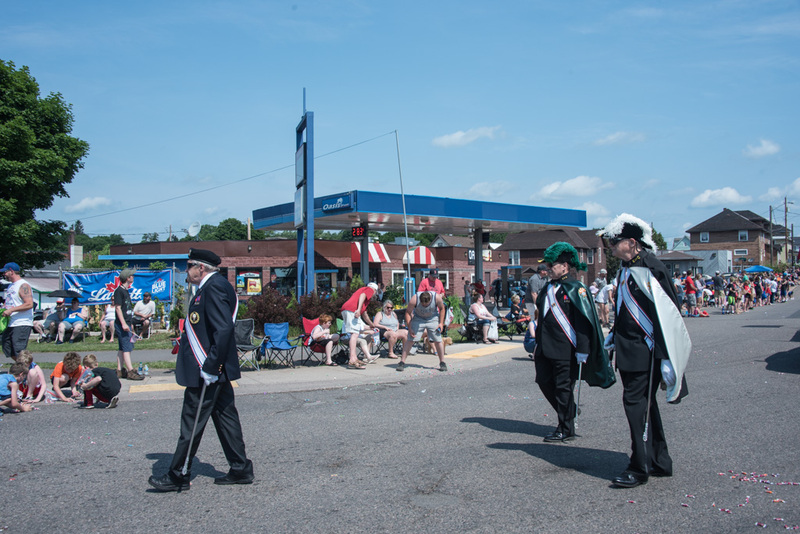 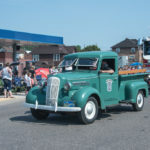 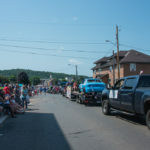 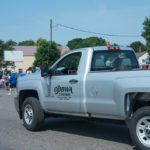 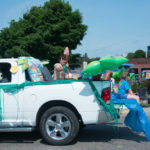 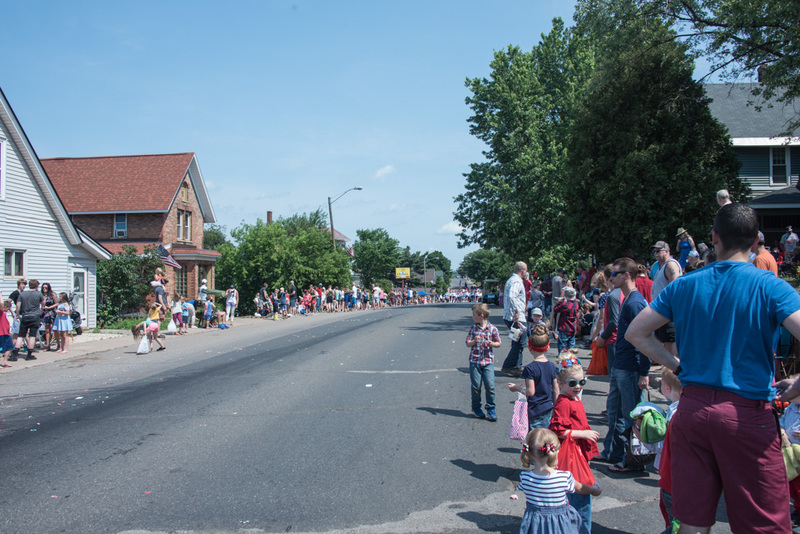 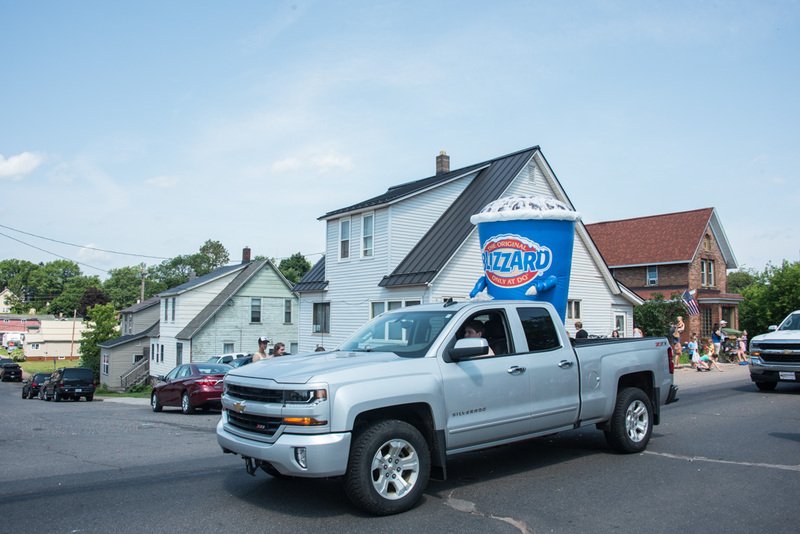 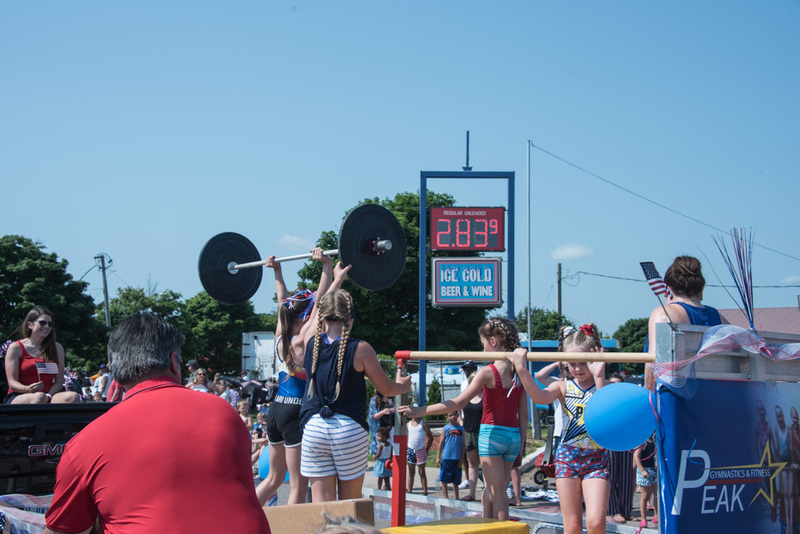 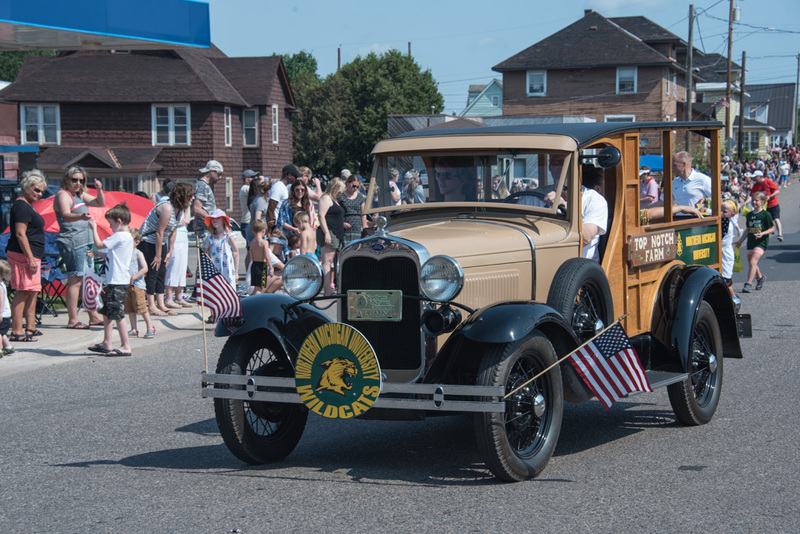 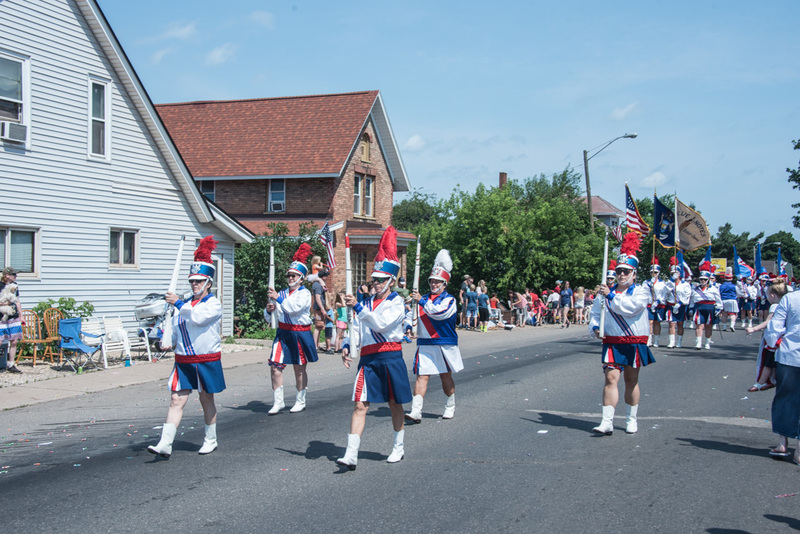 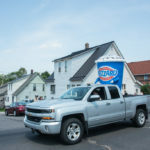 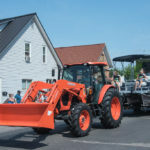 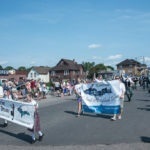 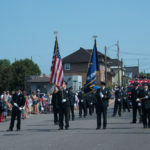 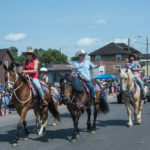 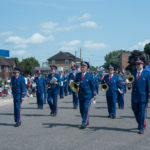 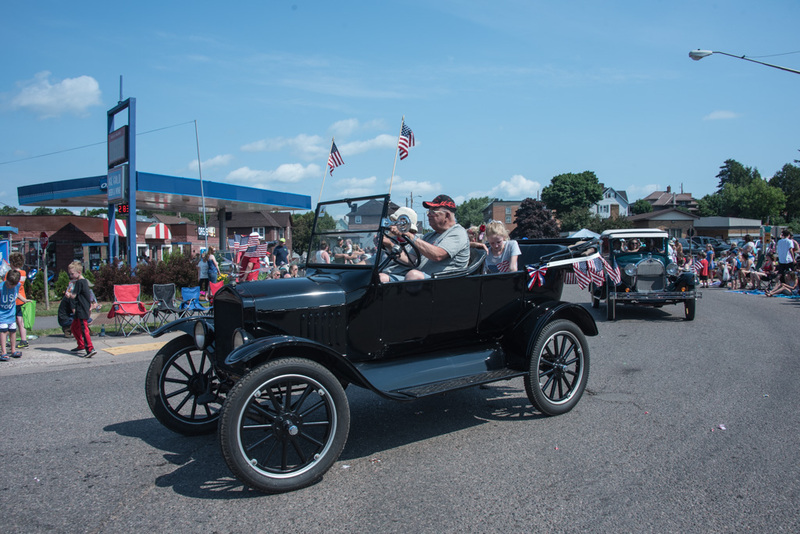 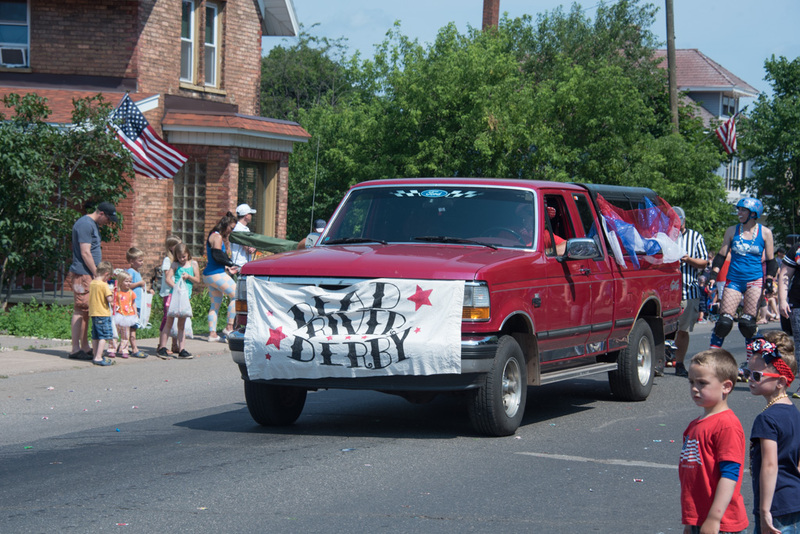 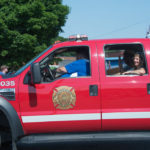 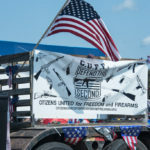 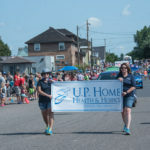 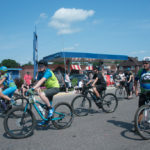 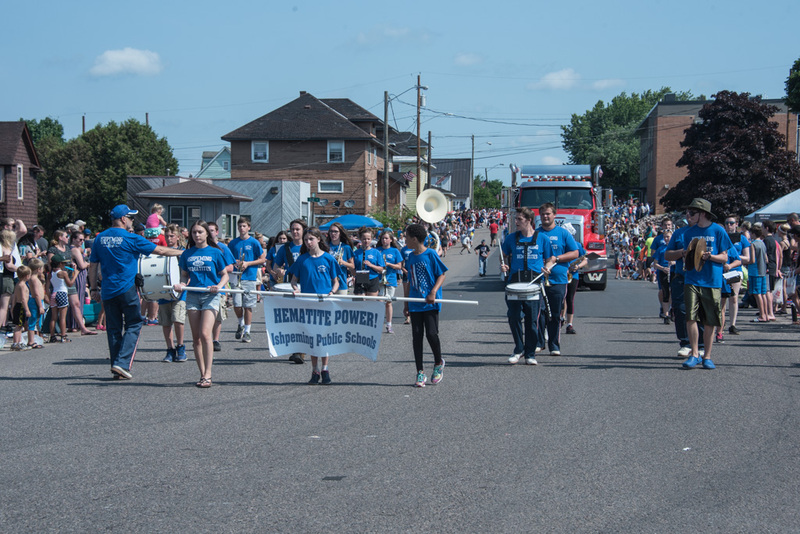 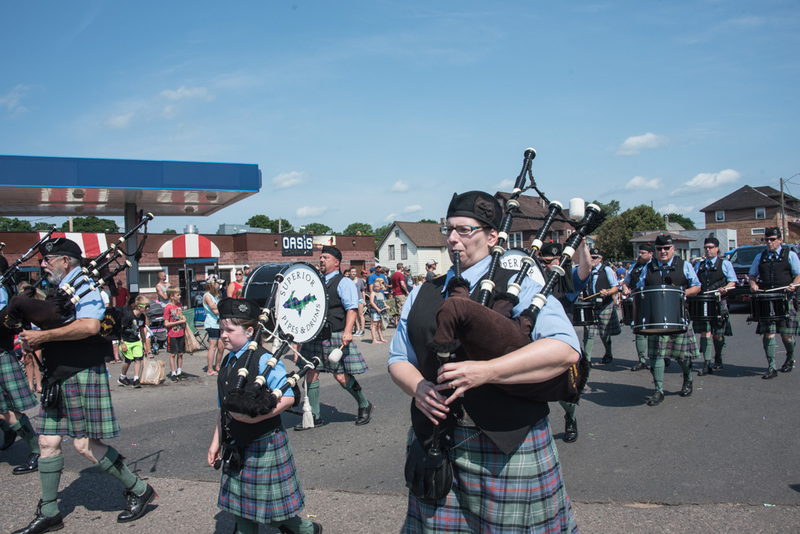 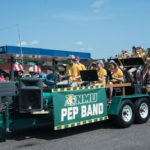 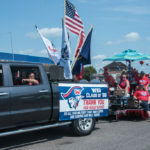 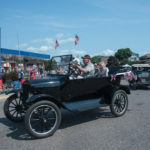 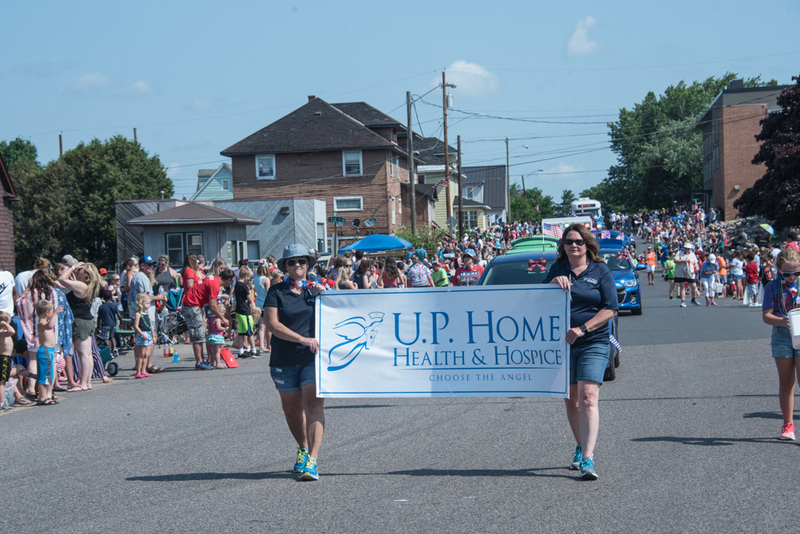 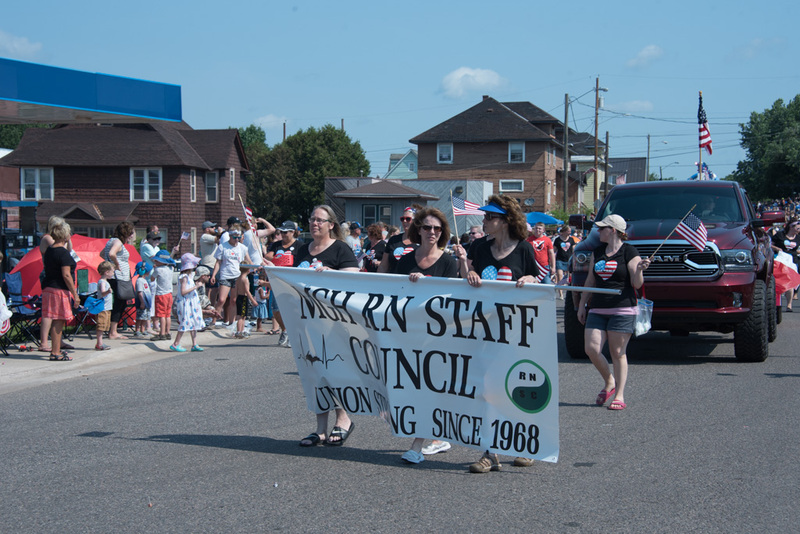 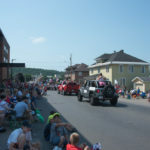 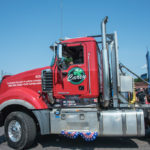 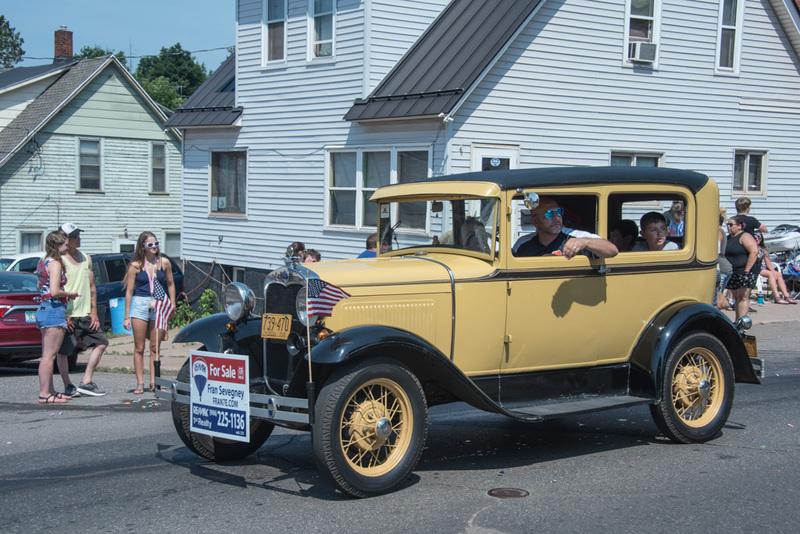 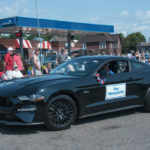 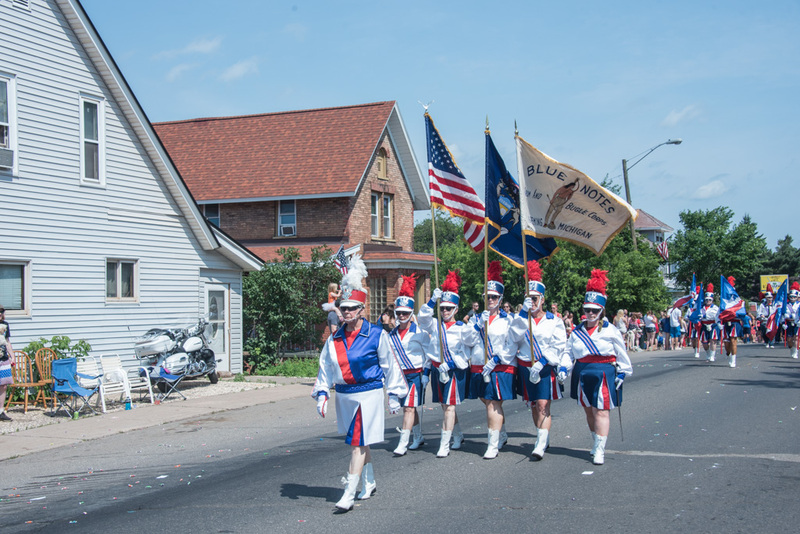 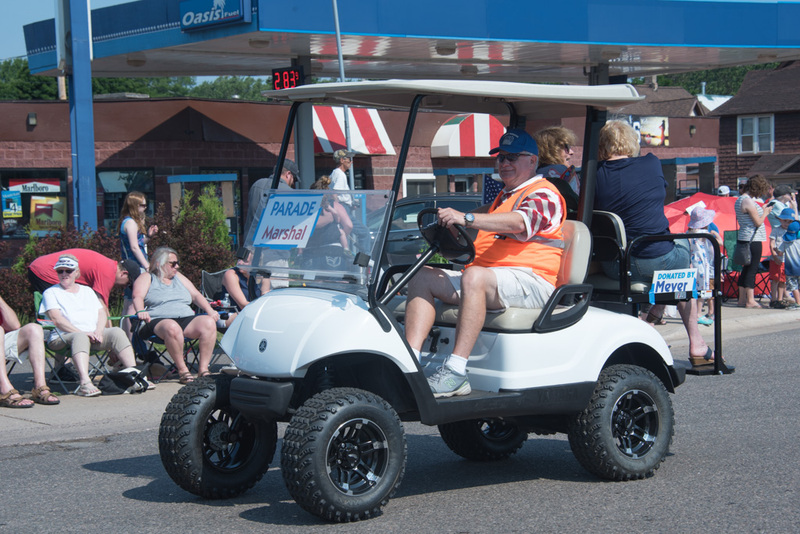 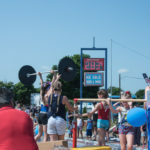 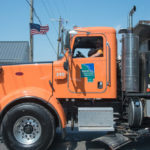 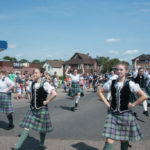 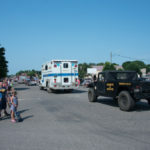 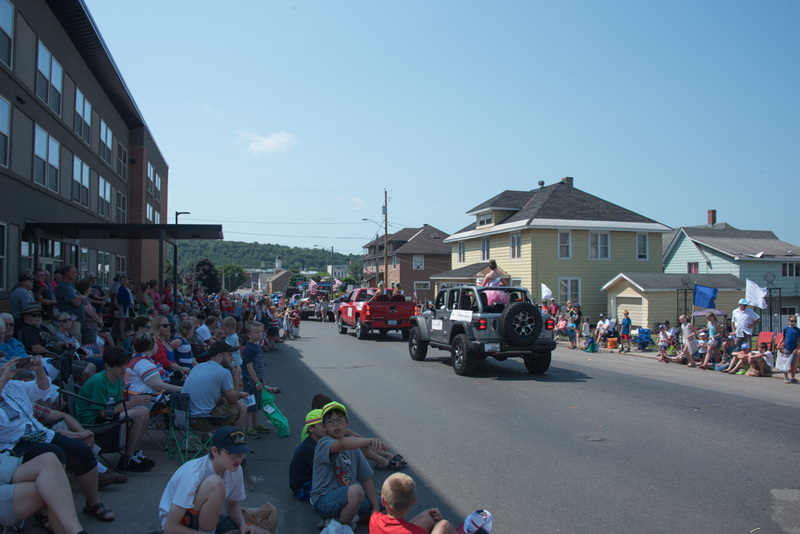 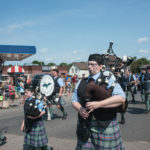 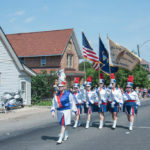 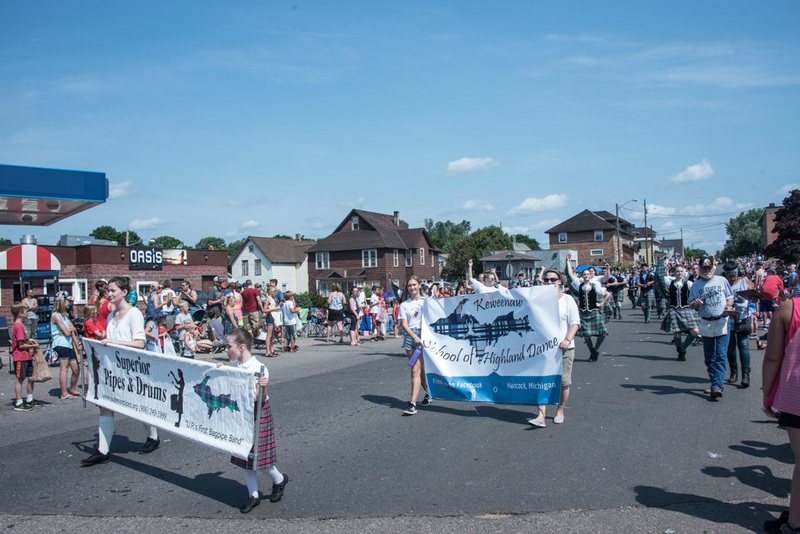 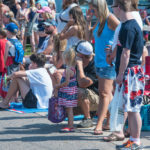 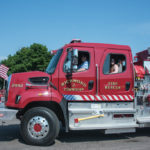 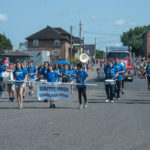 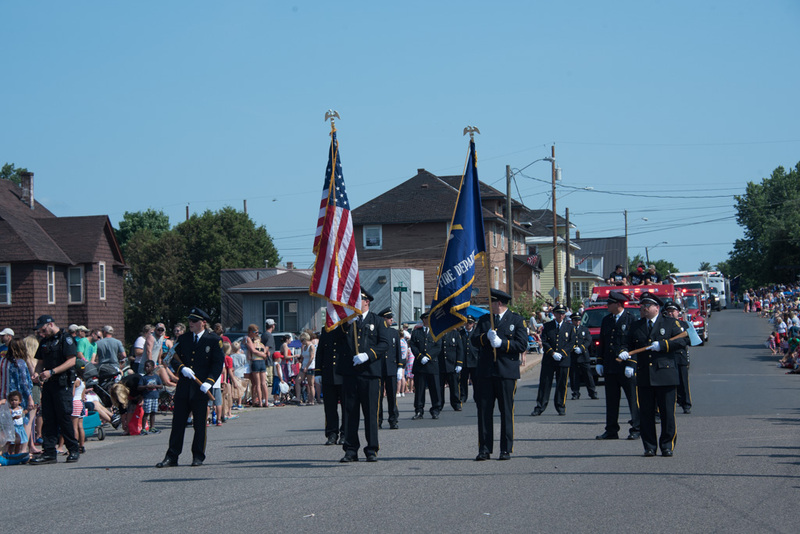 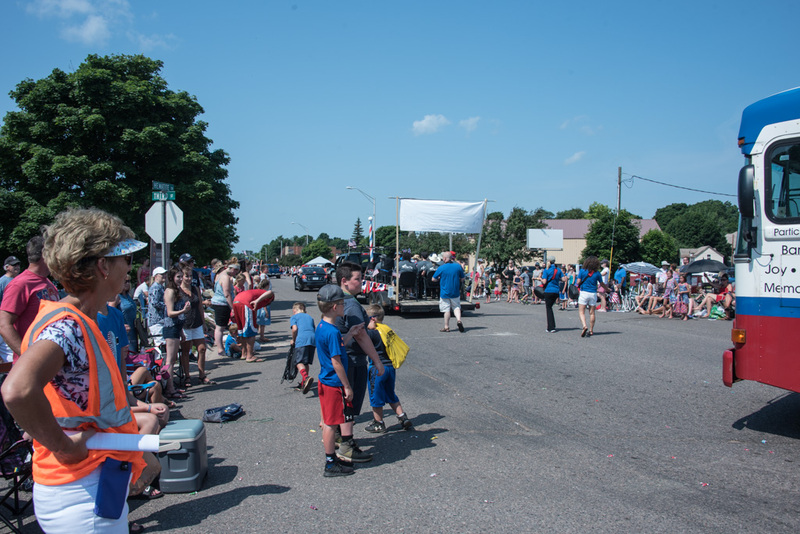 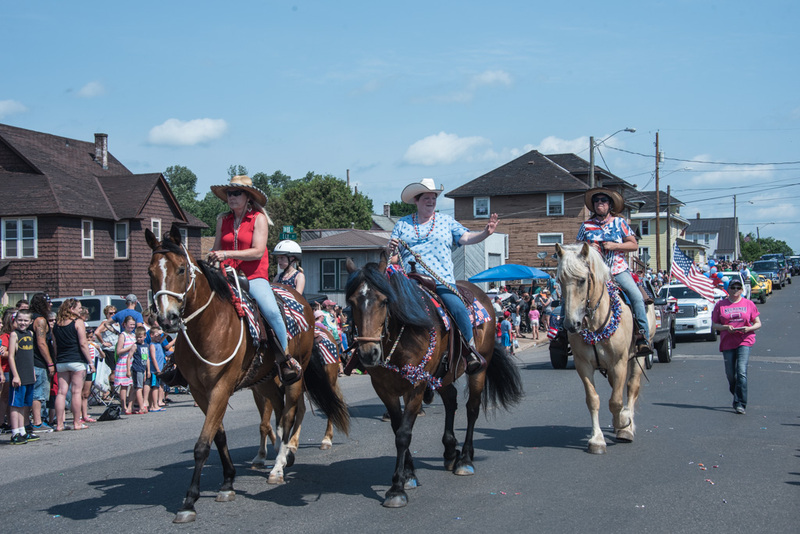 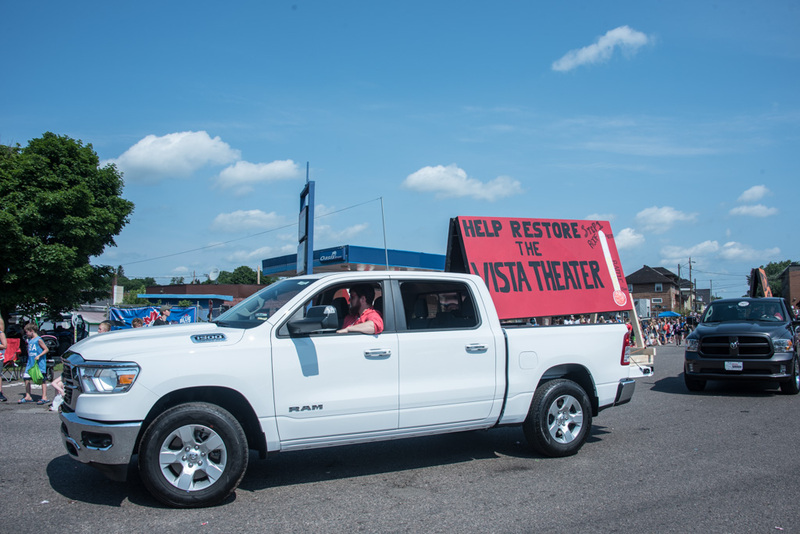 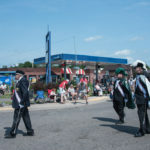 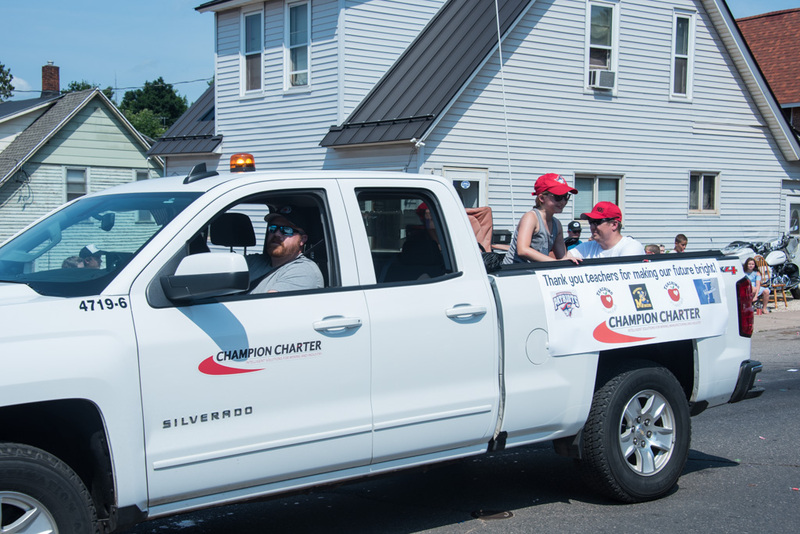 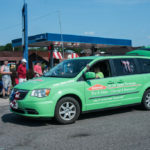 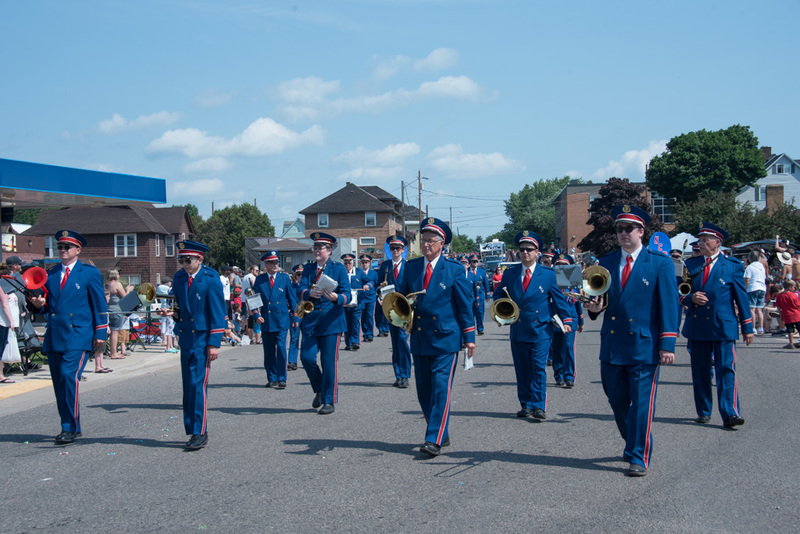 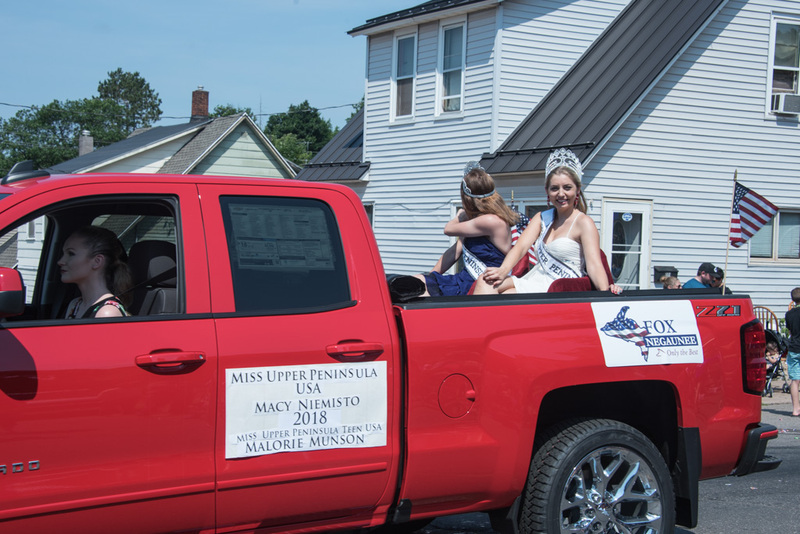 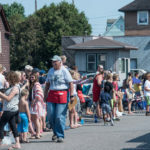 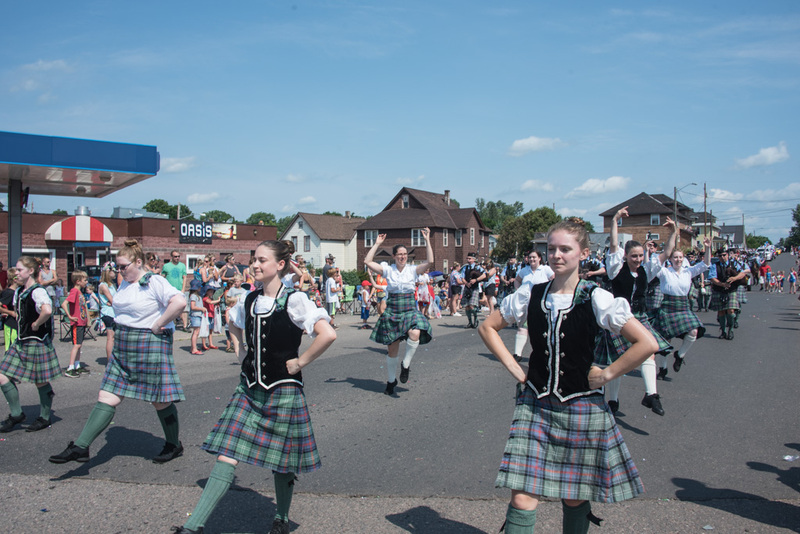 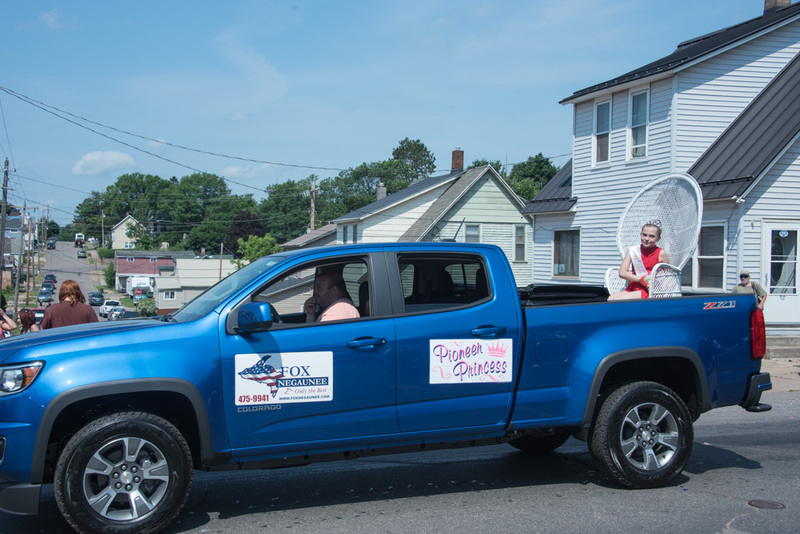 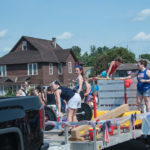 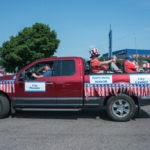 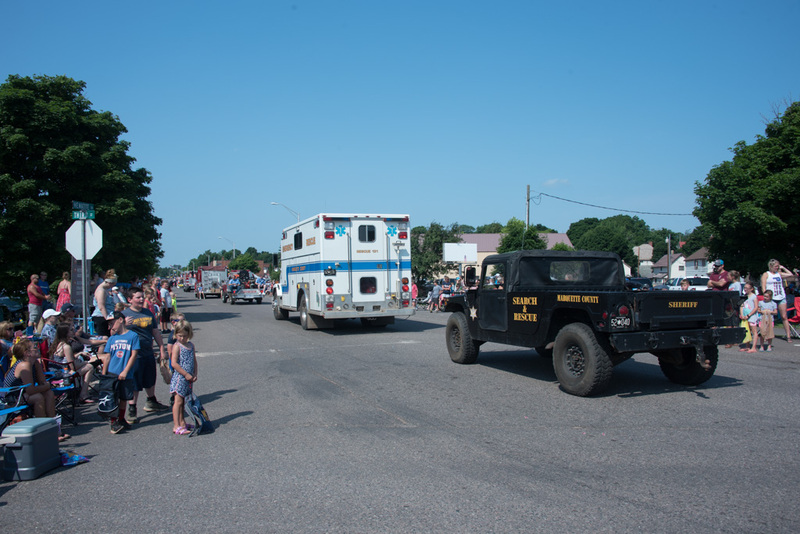 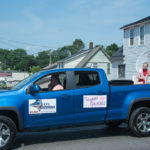 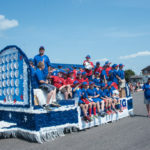 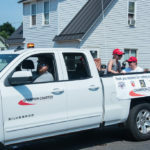 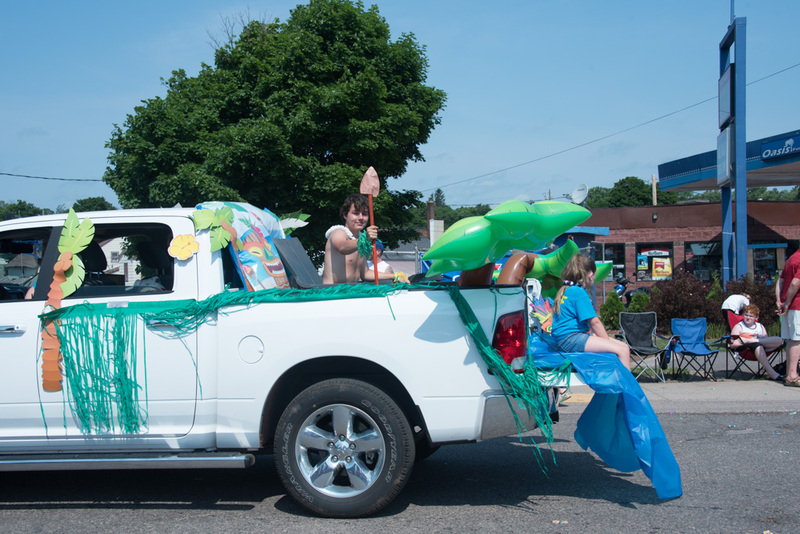 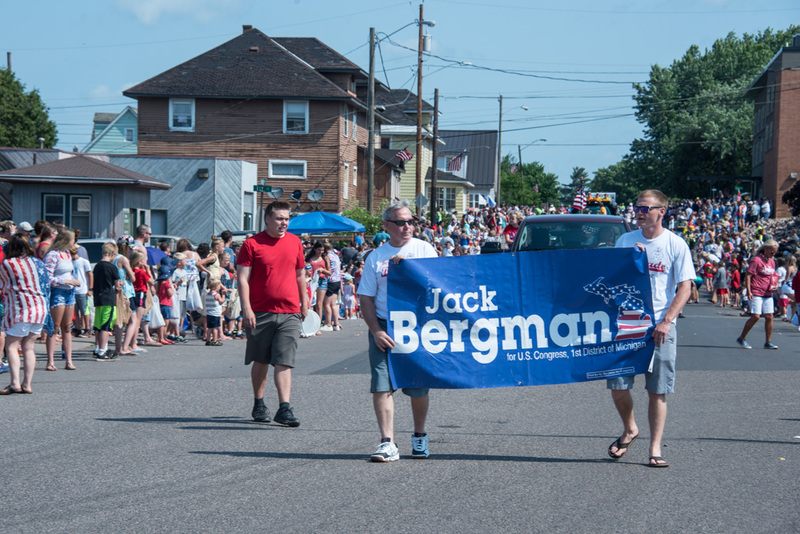 Marquette, MI – July 4, 2018 – The Ishpeming streets were full of color today as floats cruised down the roads during the town’s annual 4th of July Parade. 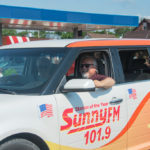 This year Sunny.FM, 103-FXD, & Fox Sports Marquette were all represented in the Great Lakes Radio caravan. 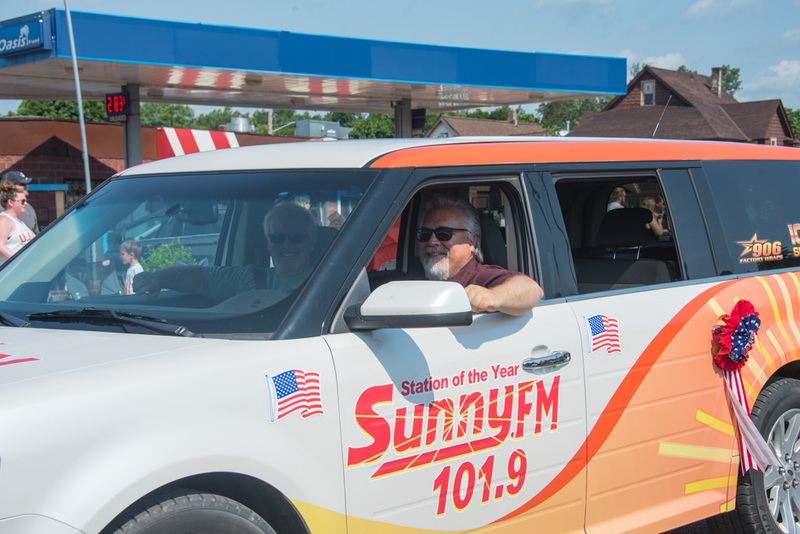 Walt Lindala and Mike Plourde lead the way in the Sunny.FM Flex followed by WFXD’s Adam Carpenter in the side-by-side with Bruce. 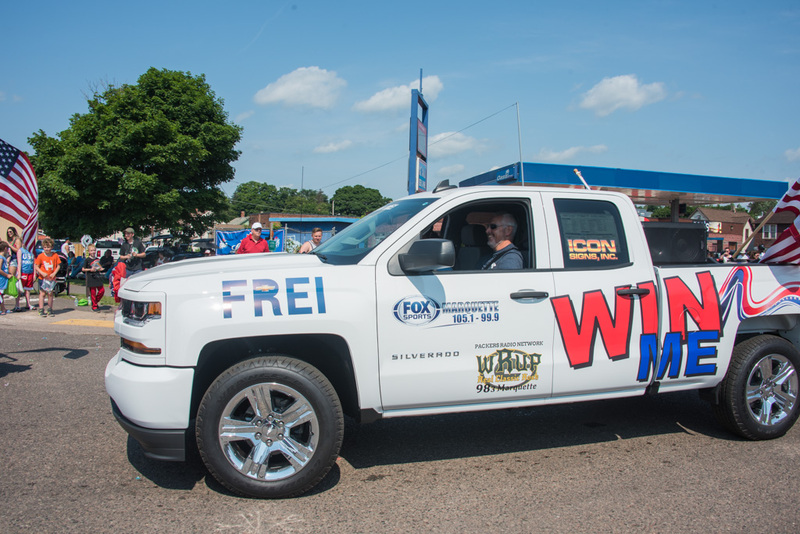 Bill and Joe were in the rear with our Silverado Summer Giveaway grand prize! 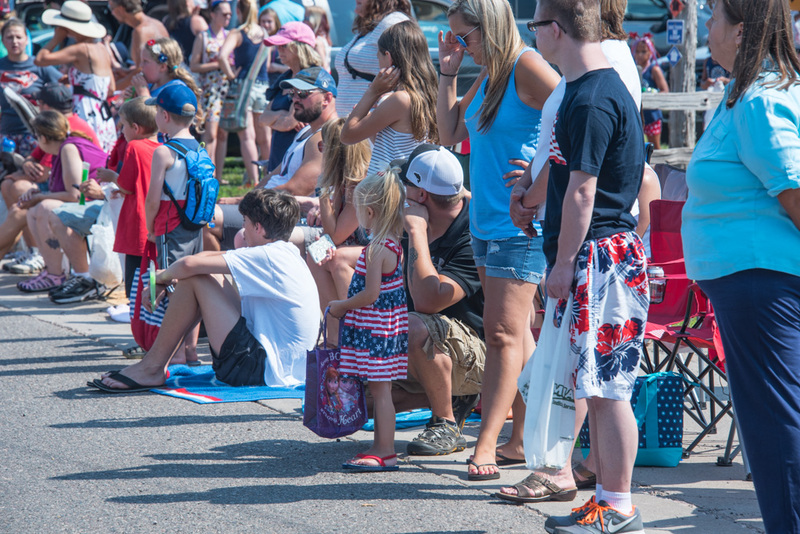 Out in the crowd, our resident photography Lauren was snapping pictures and capturing another great 4th of July. 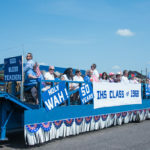 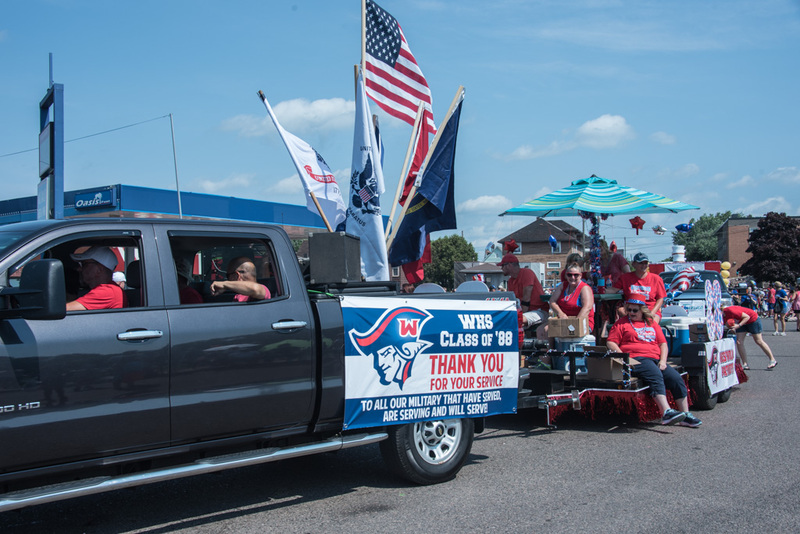 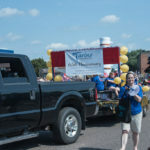 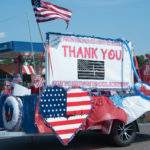 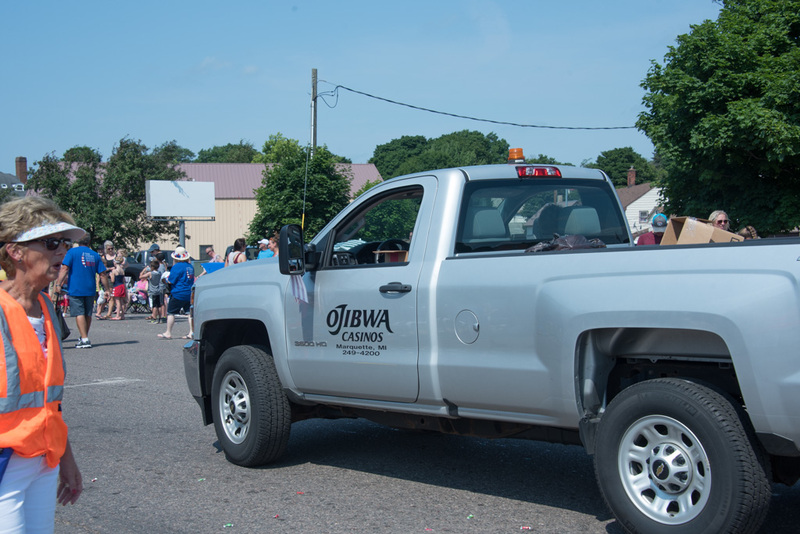 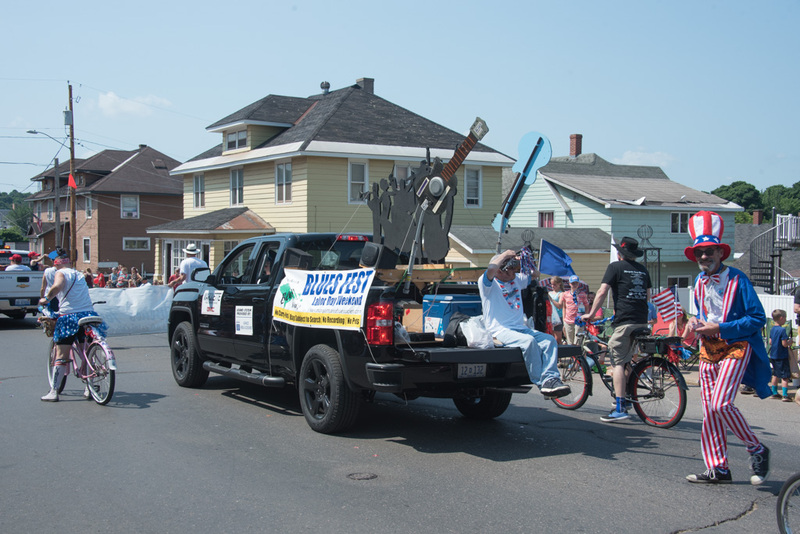 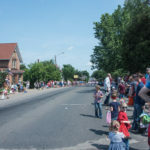 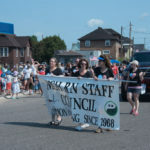 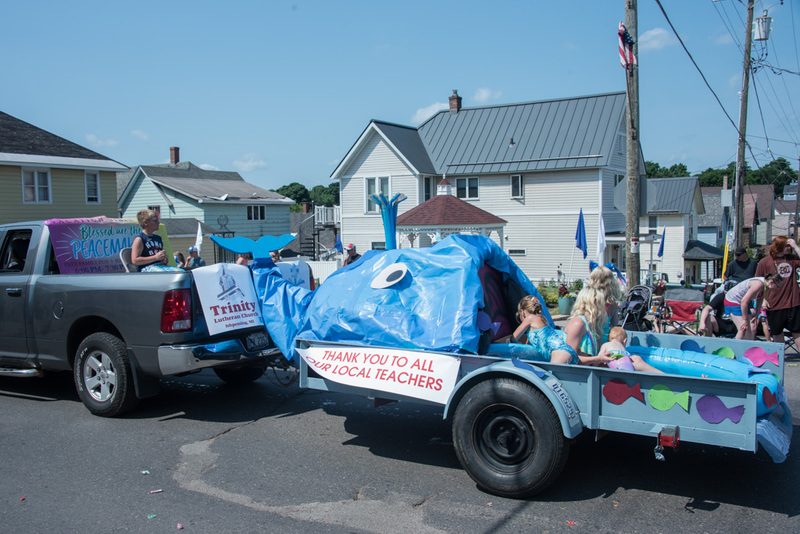 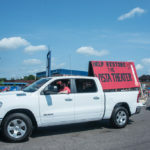 Floats filled the streets as the parade themed, “Thanks and appreciation for our local educators” slowly moved its way through town. 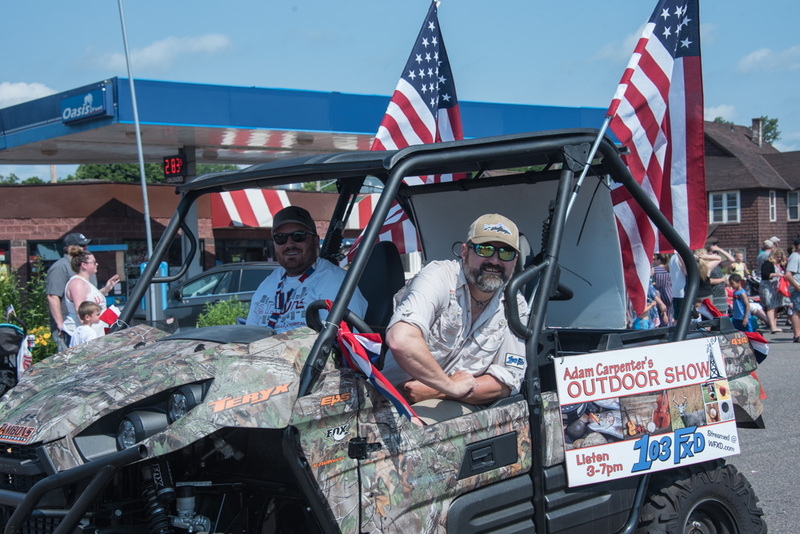 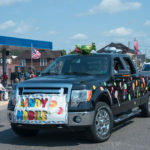 Participants tossed candy, koozies, stickers and other fun memorabilia to the crowds that lined the road. 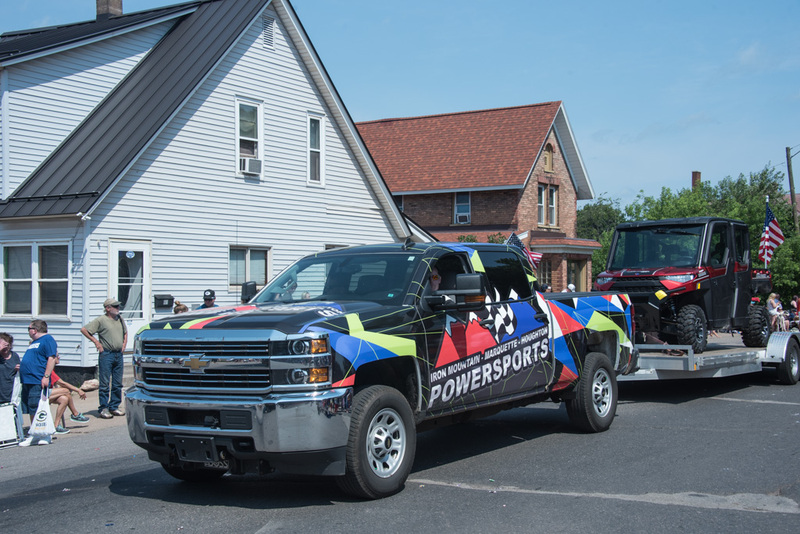 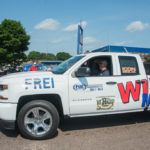 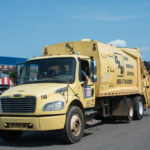 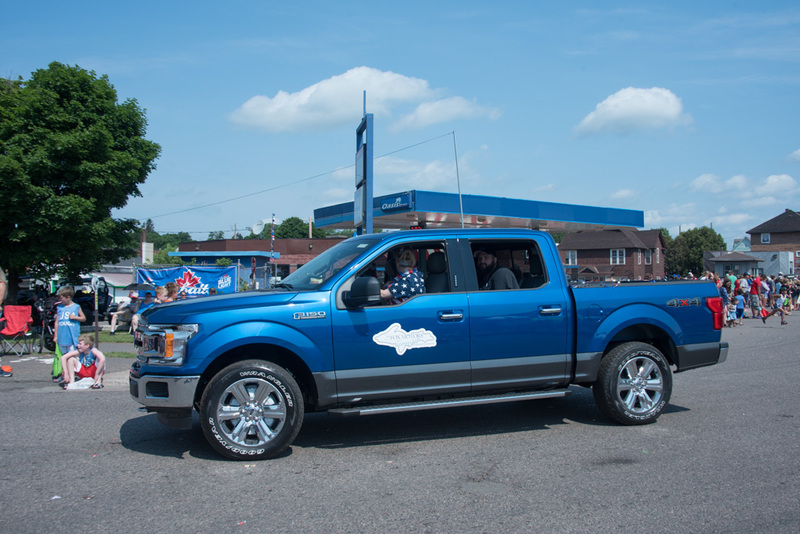 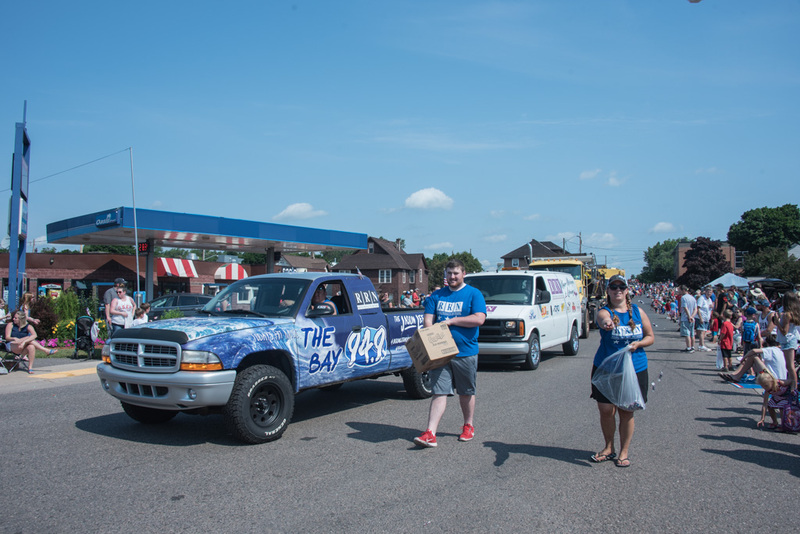 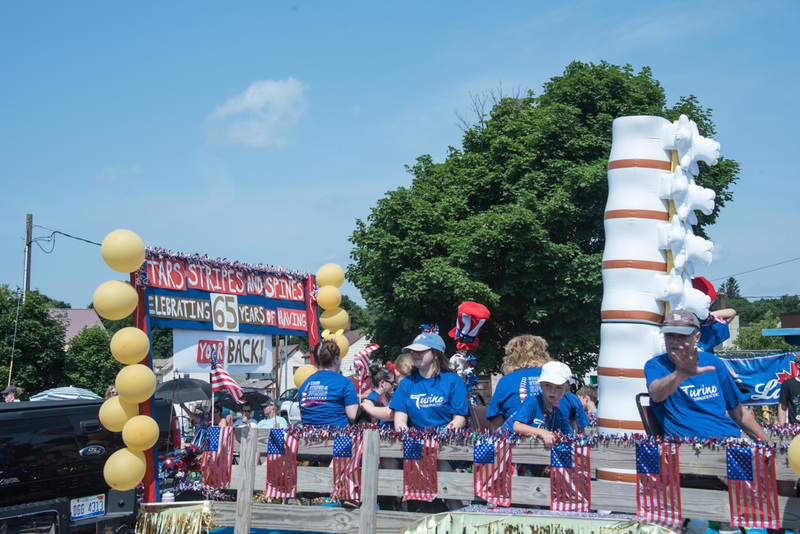 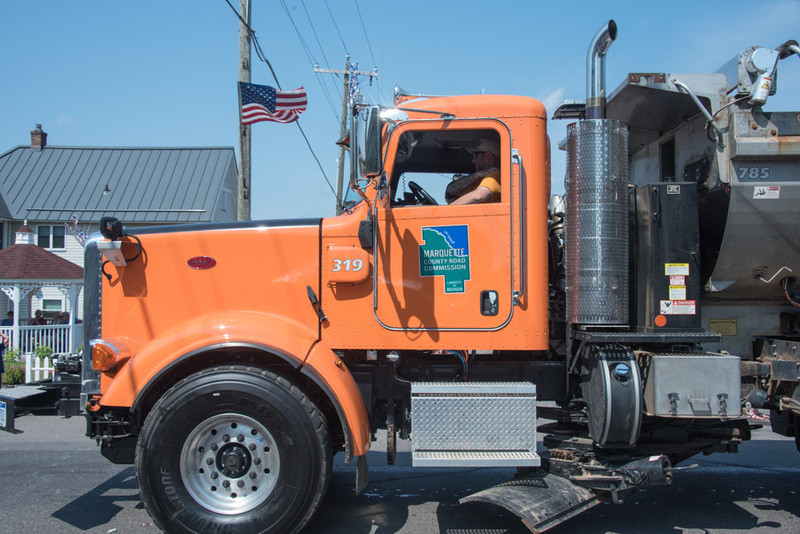 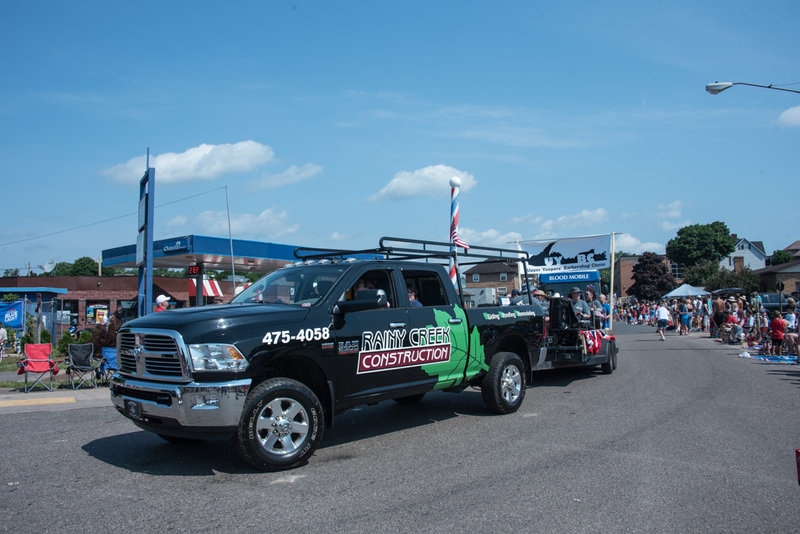 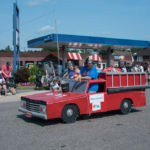 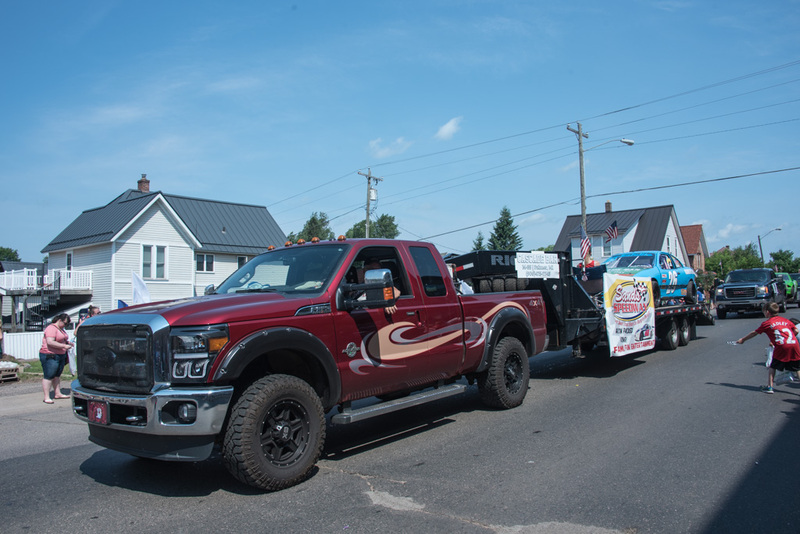 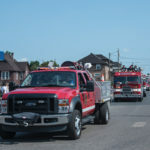 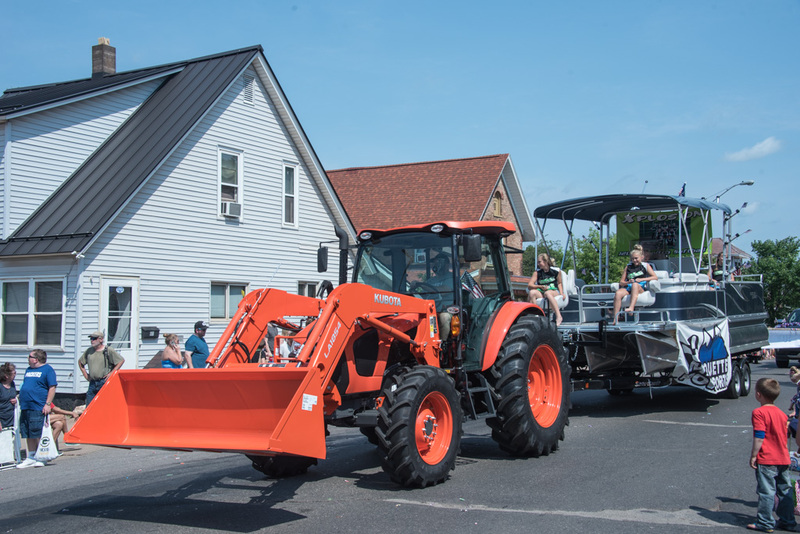 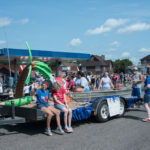 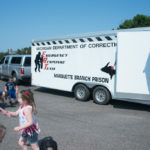 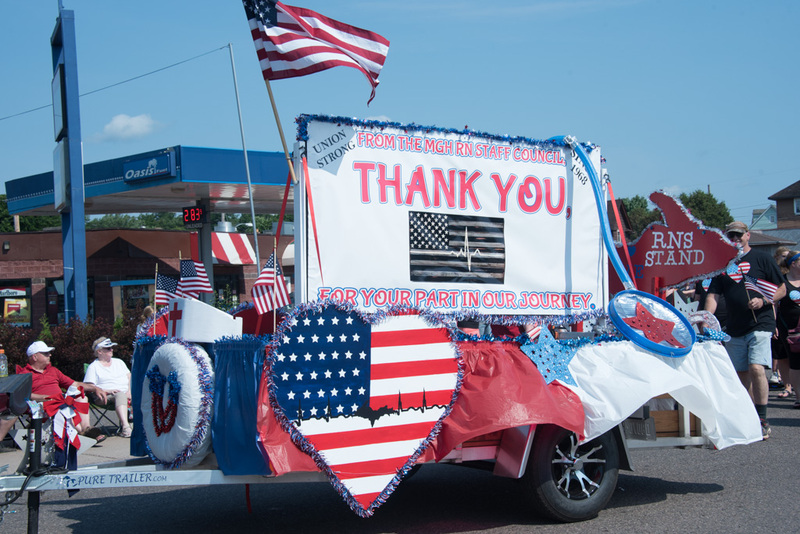 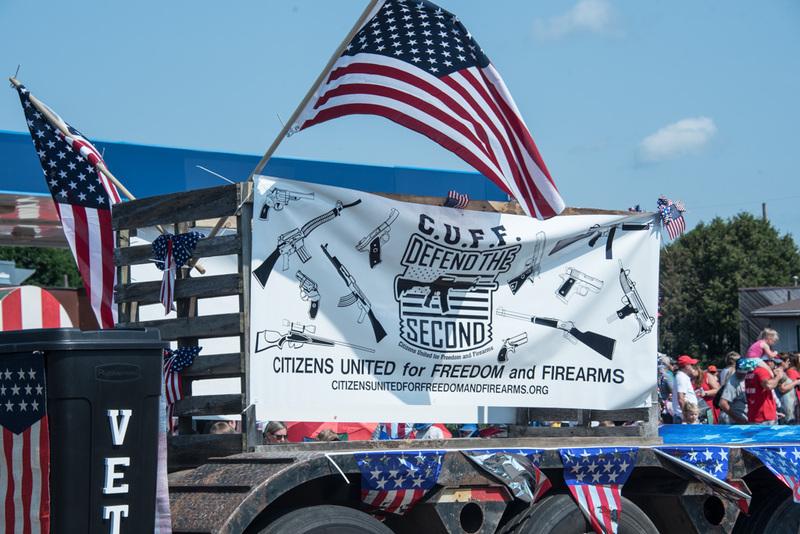 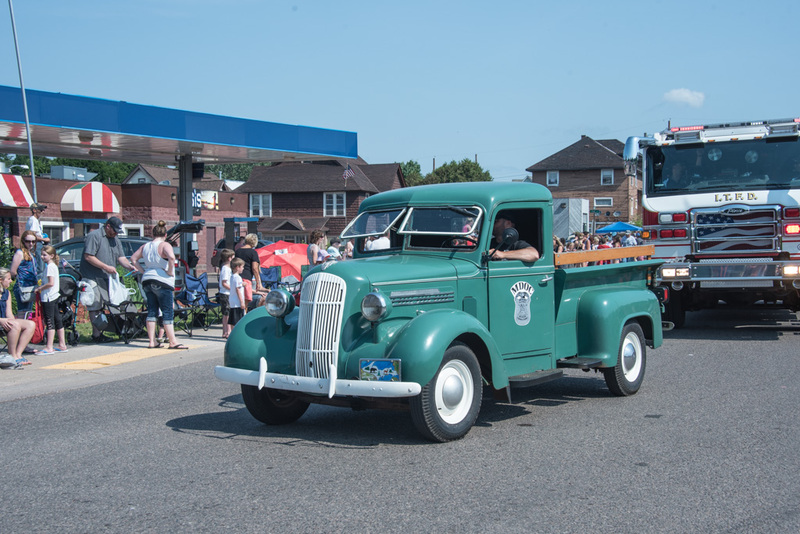 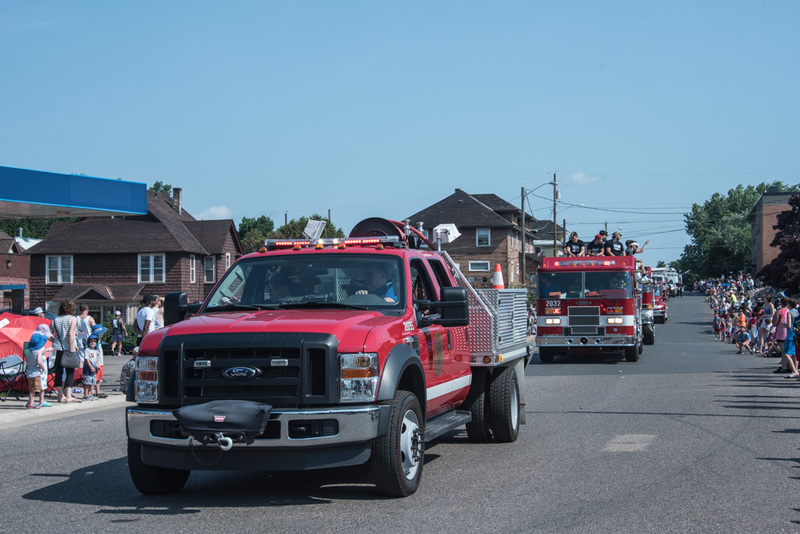 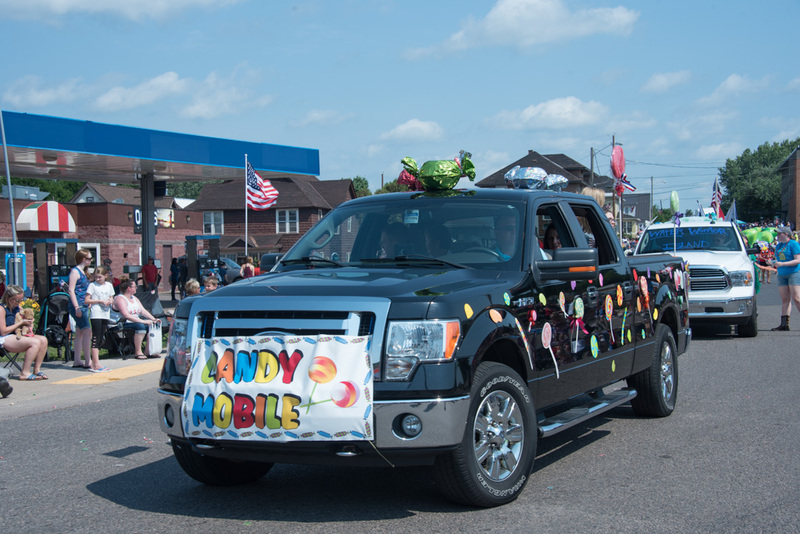 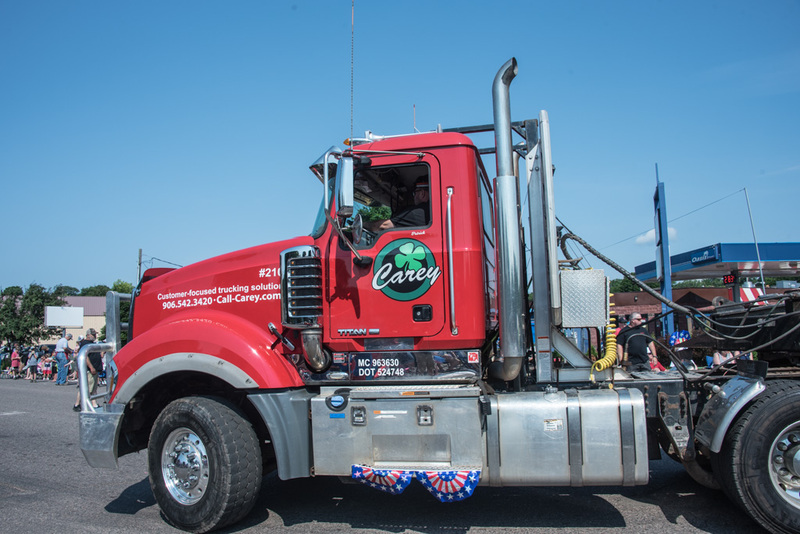 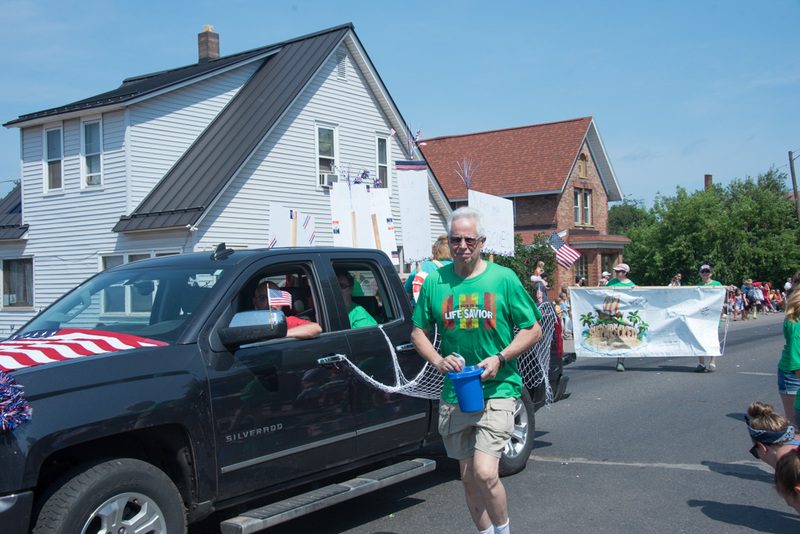 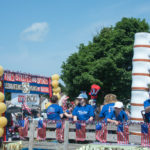 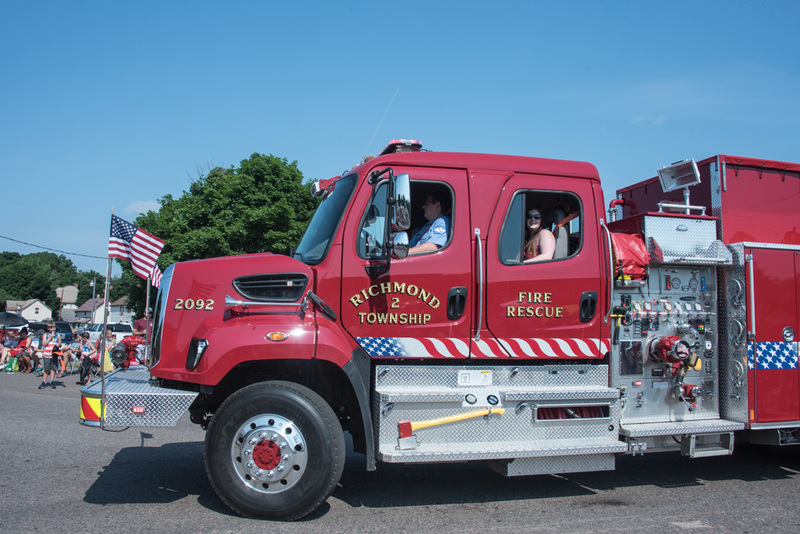 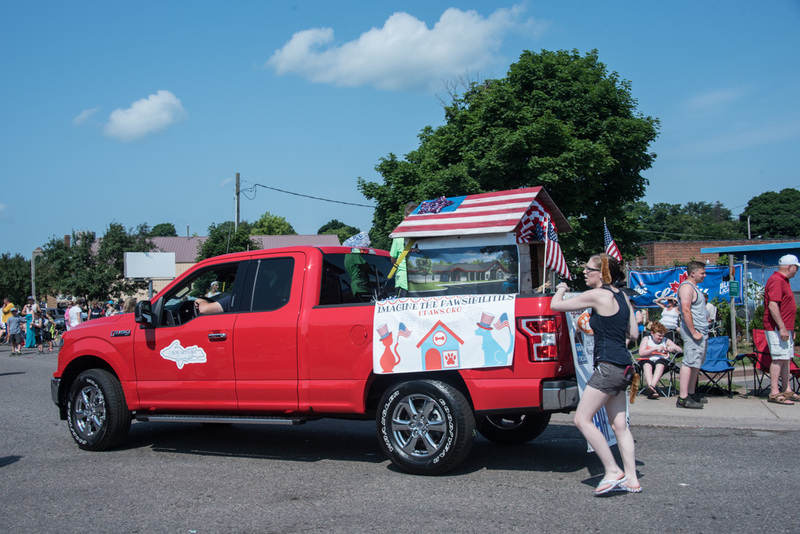 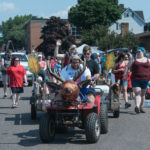 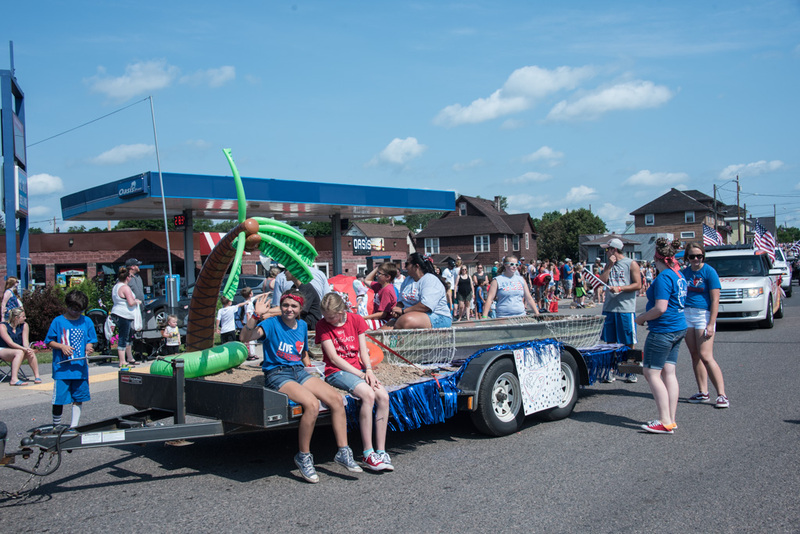 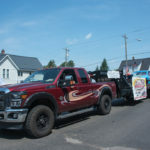 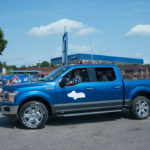 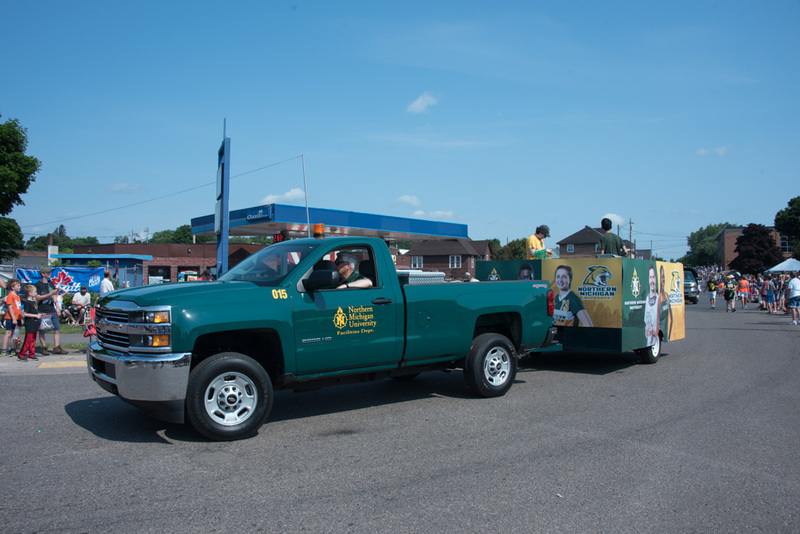 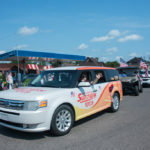 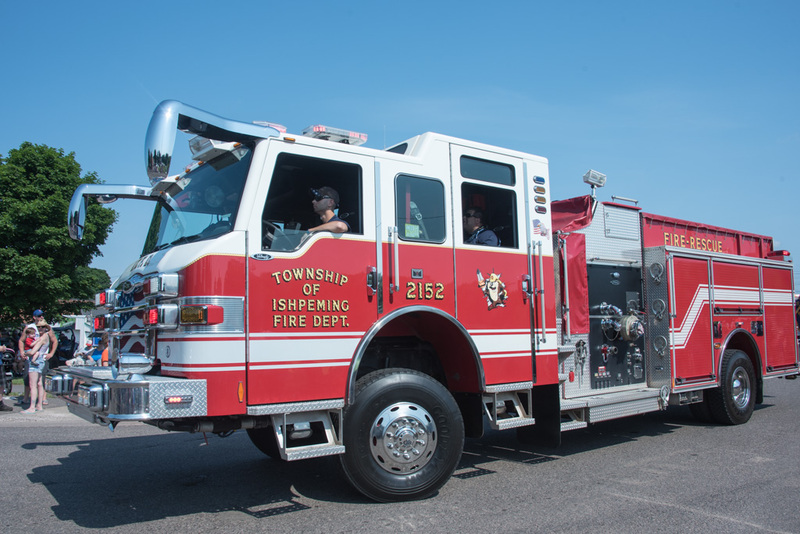 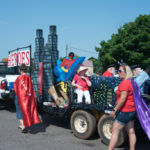 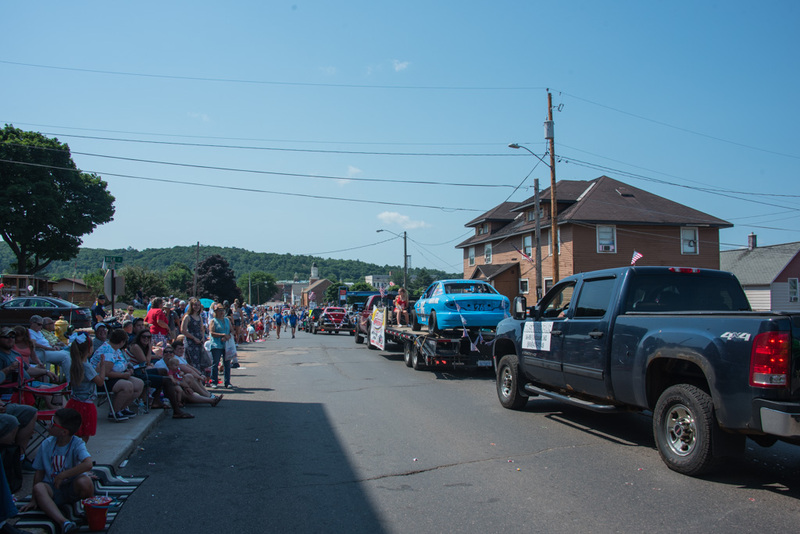 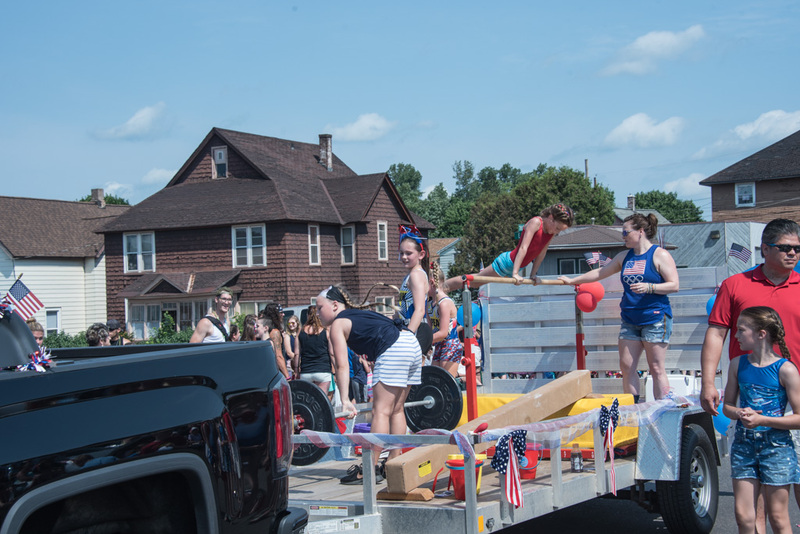 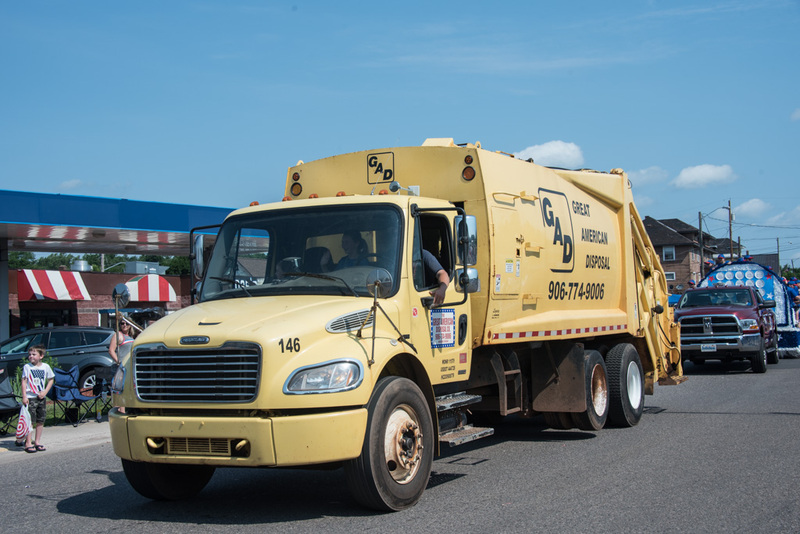 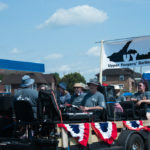 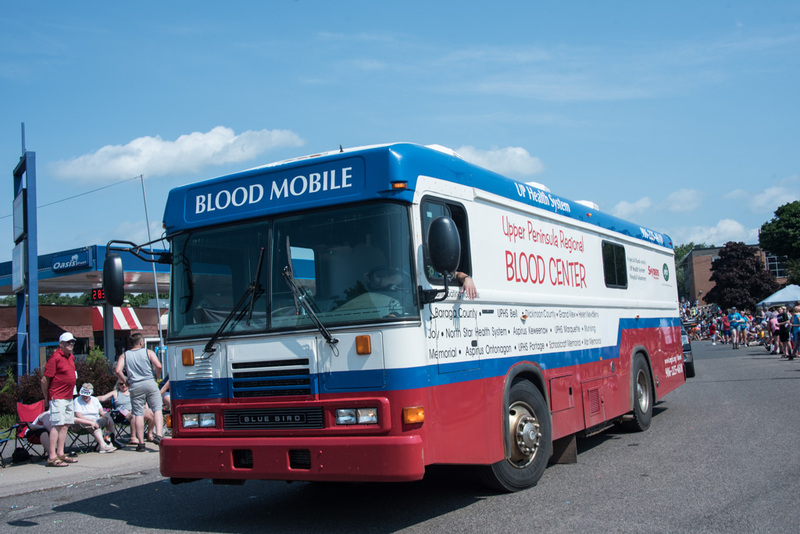 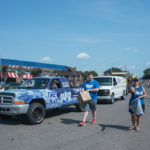 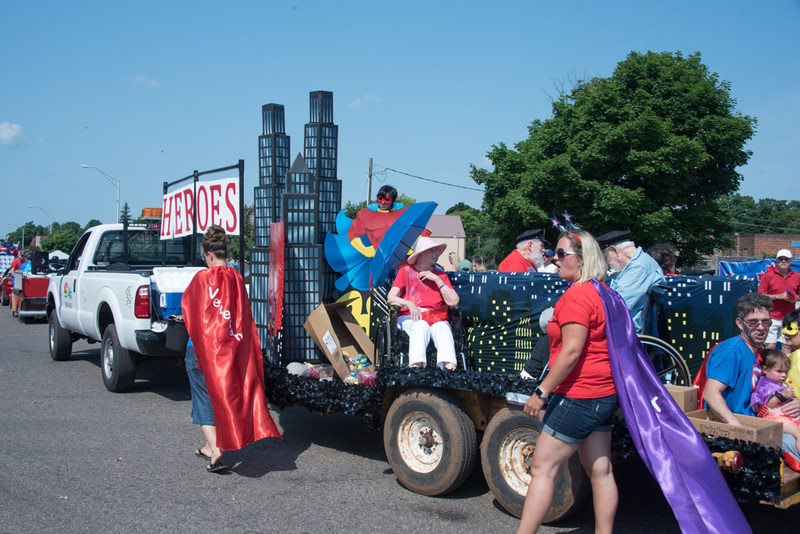 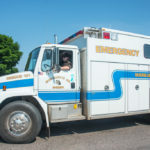 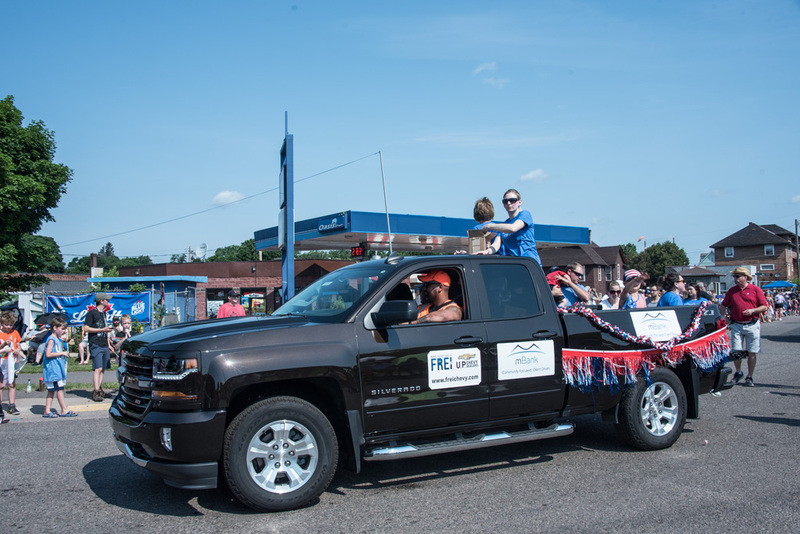 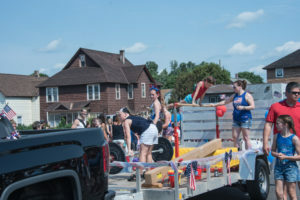 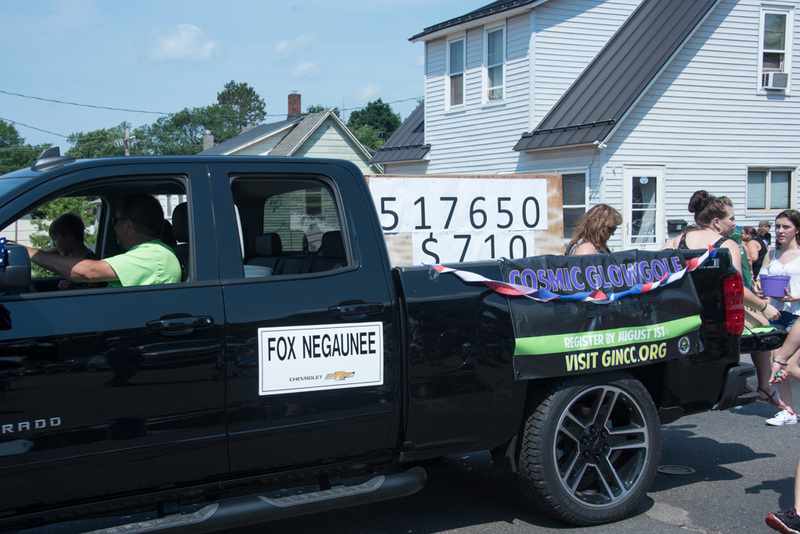 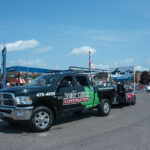 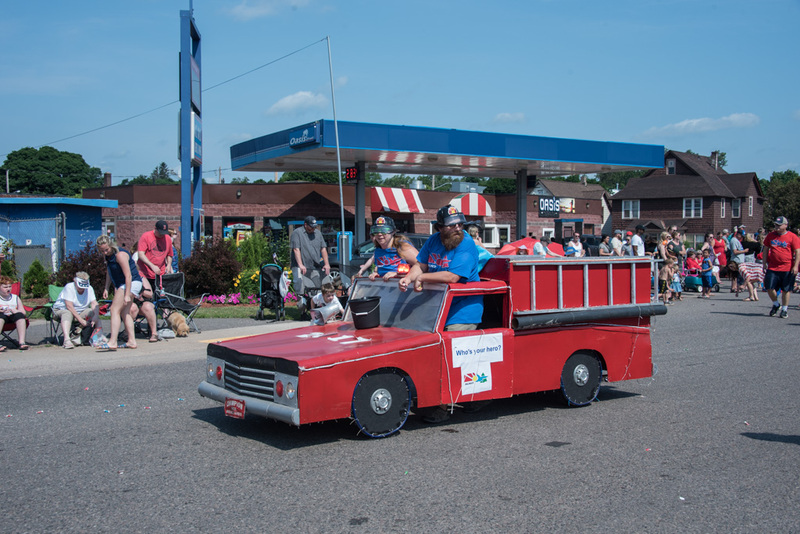 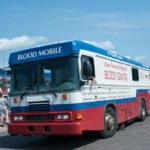 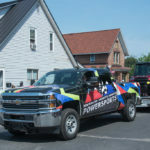 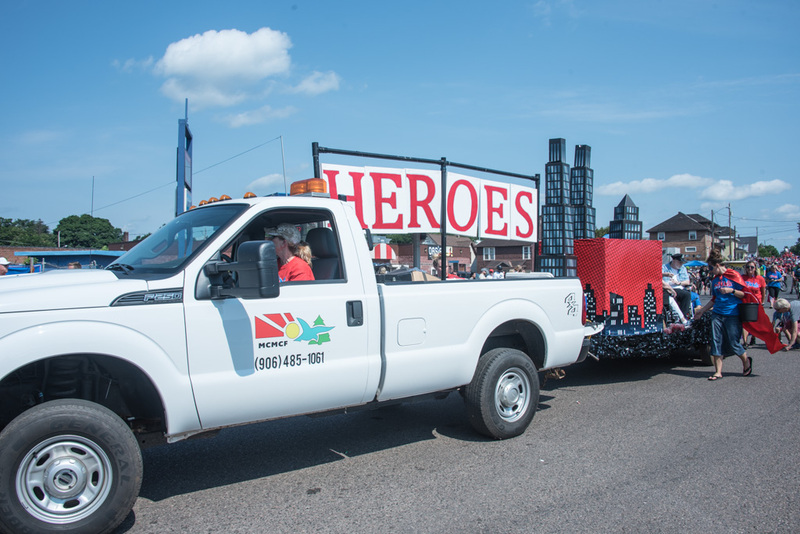 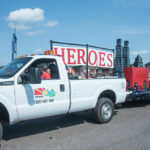 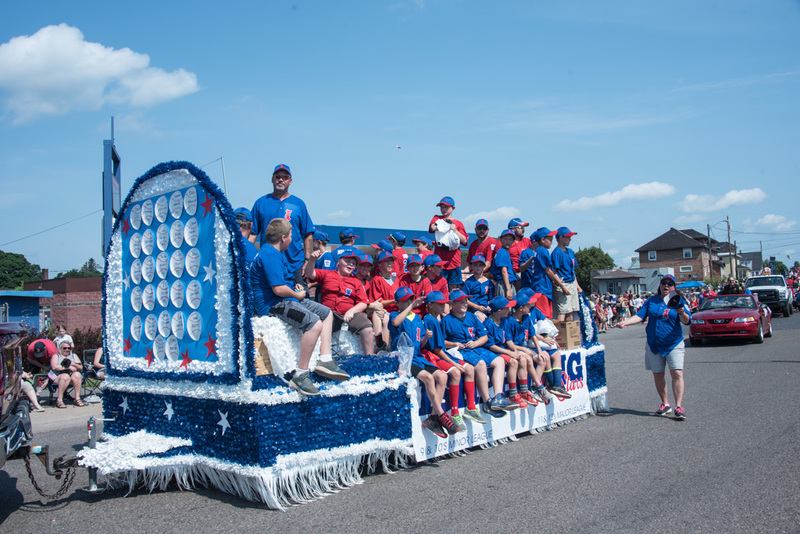 While the Great Lakes Radio crew had fun decorating the vehicles, MCMCF took it to a whole new level with an impressive “Heroes” themed float with a full skyline and super hero crew. 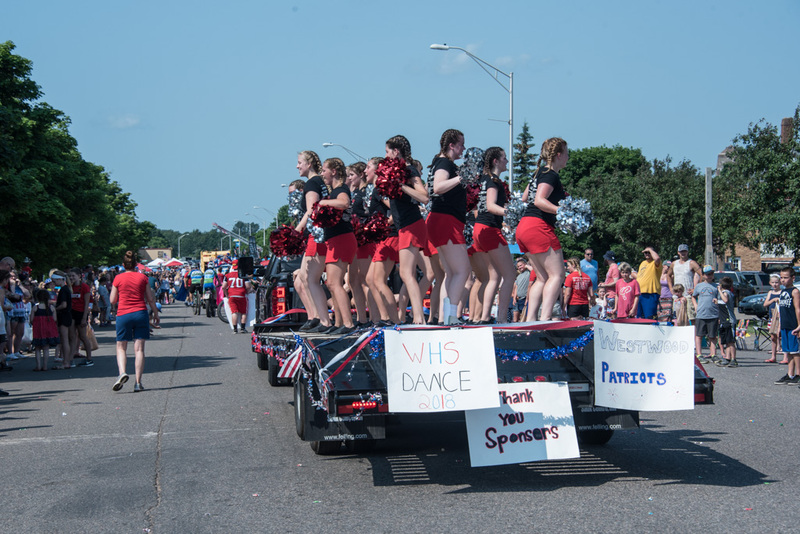 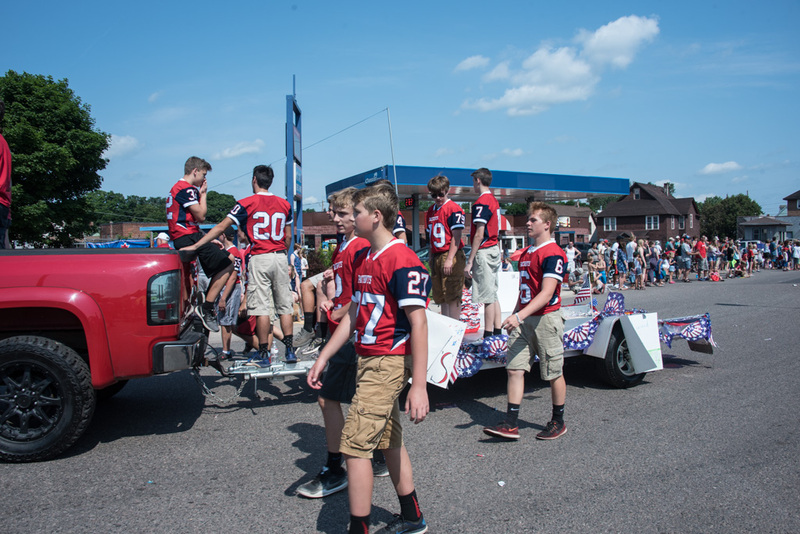 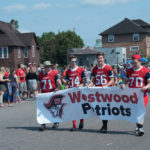 Westwood High School was also out in force with students on the Football, Girls Basketball, Dance, Wrestling and Cheer teams all participating in the parade. 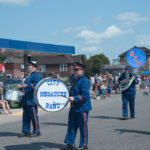 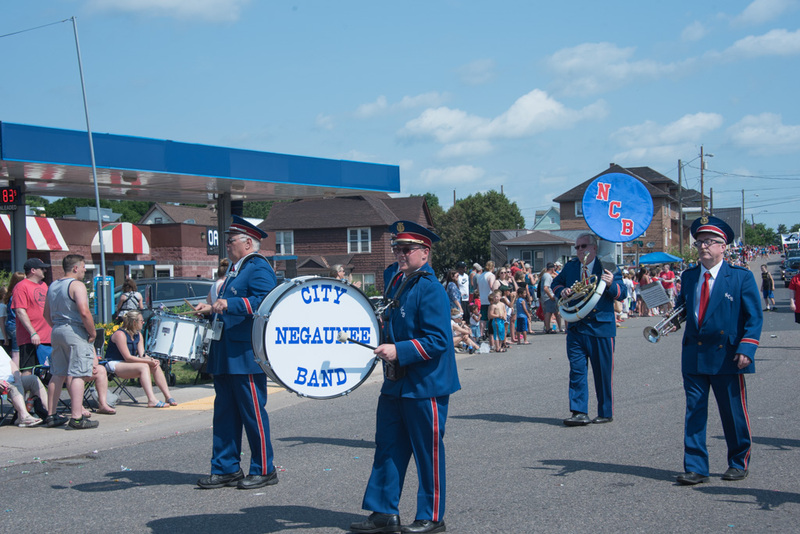 The Negaunee City Band made their appearance followed soon after by one of the funnier floats in the procession, the Mr. U.P. 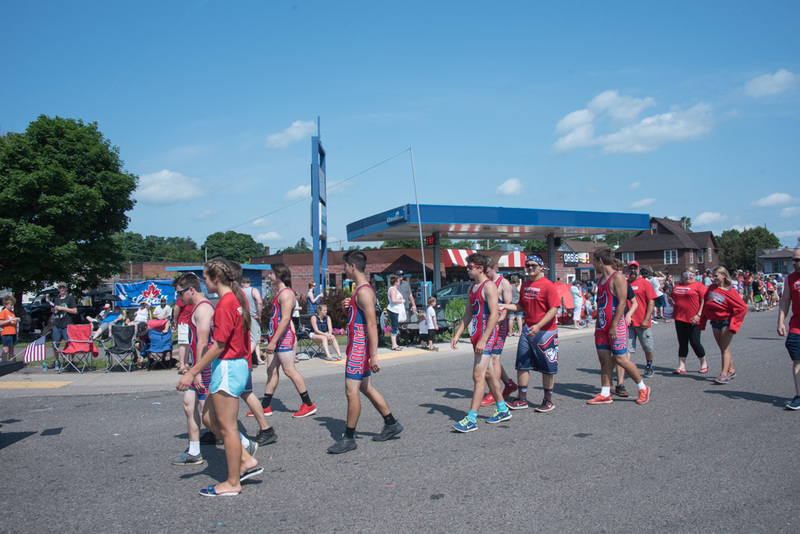 group! 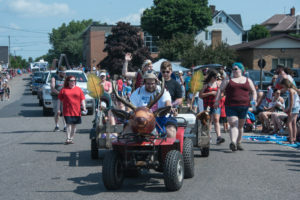 Leading the crew they had an atv with a blow up deer head that really got people laughing. 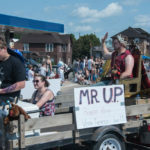 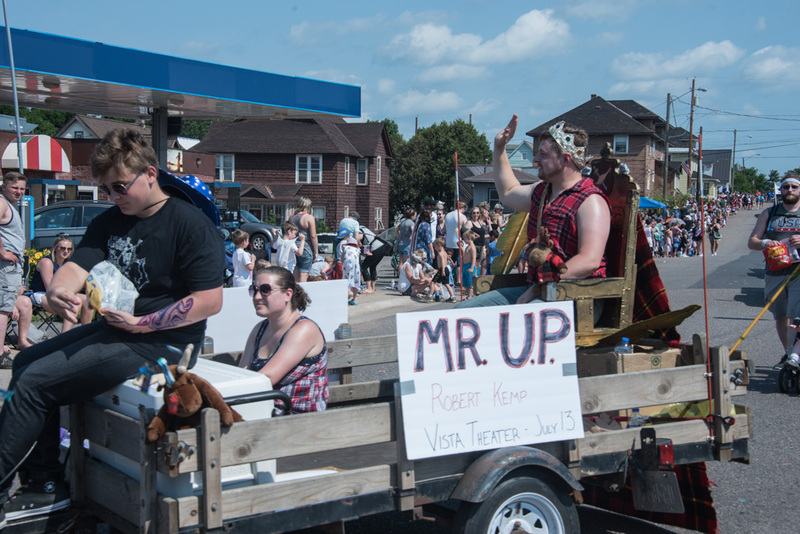 The rest of the Upper Peninsula royalty was around too with floats for Miss U.P. 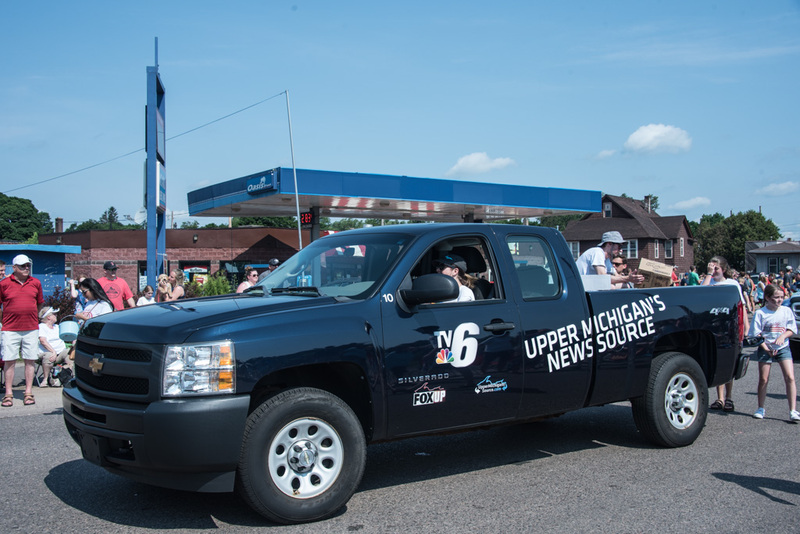 and Miss U.P. 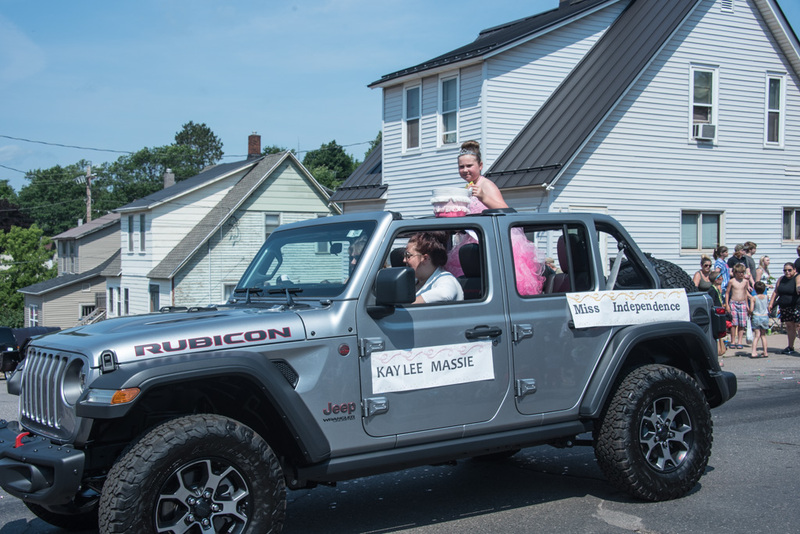 Teen, Miss Independence and the Pioneer Princess! 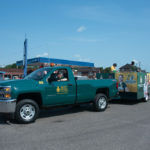 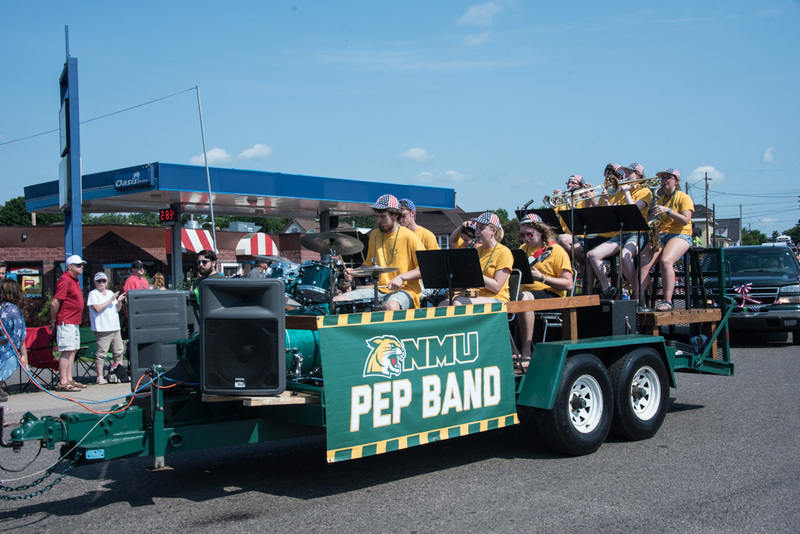 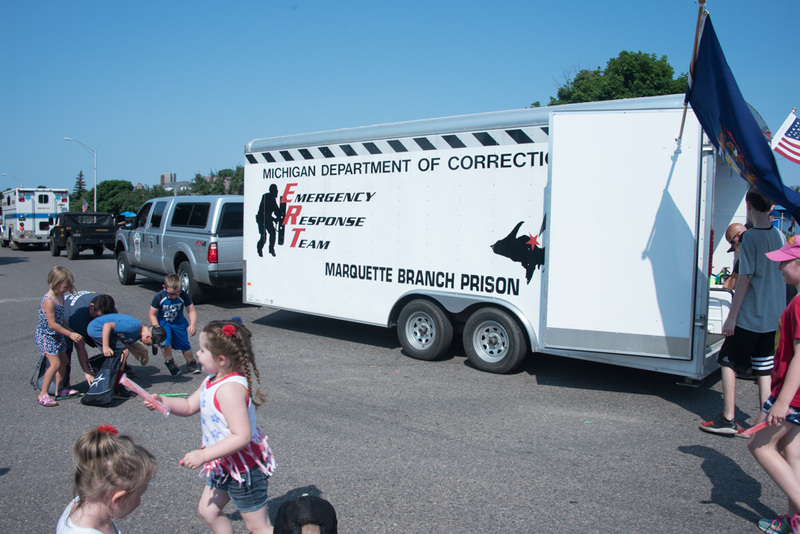 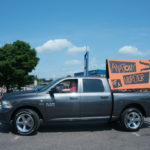 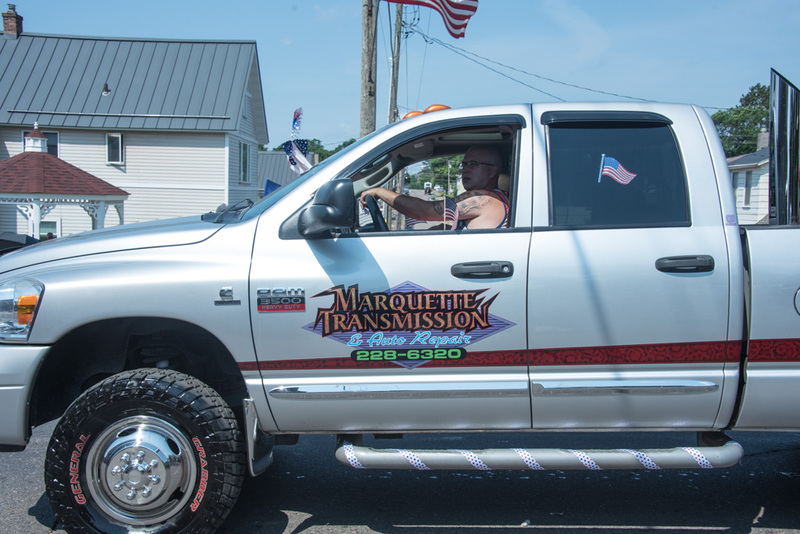 Now the crew is headed back to Marquette to get ready for the Marquette Independence Day Parade! 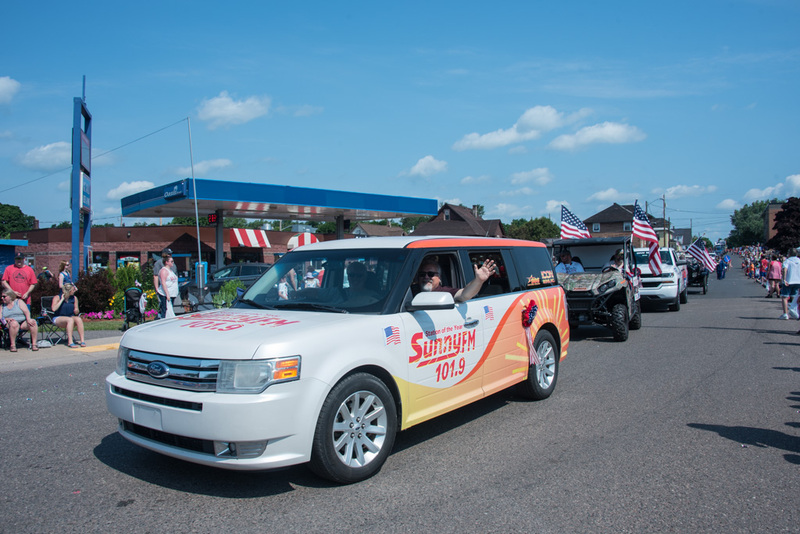 We’ll be cruising down Washington Street around 2pm, if you couldn’t make to Ishpeming, catch us in Marquette for some candy! 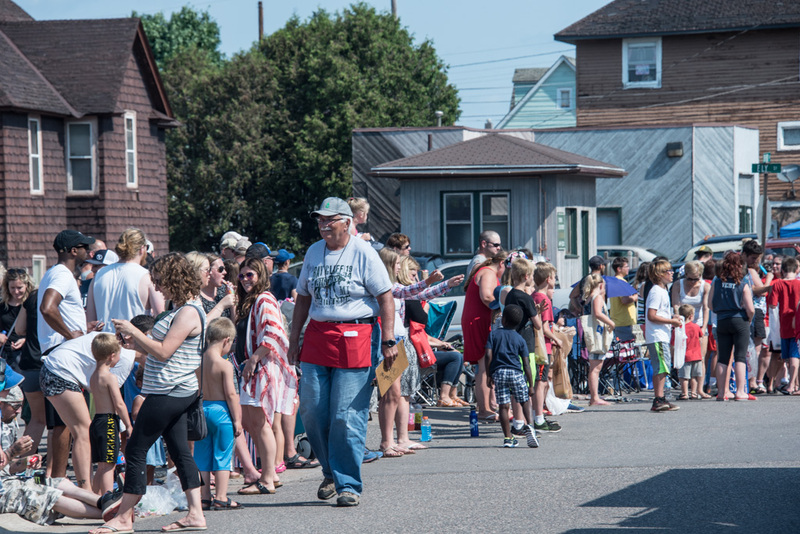 Don’t forget, Food Fest is going on at Mattson Lower Harbor in Marquette; stop by after the parade. 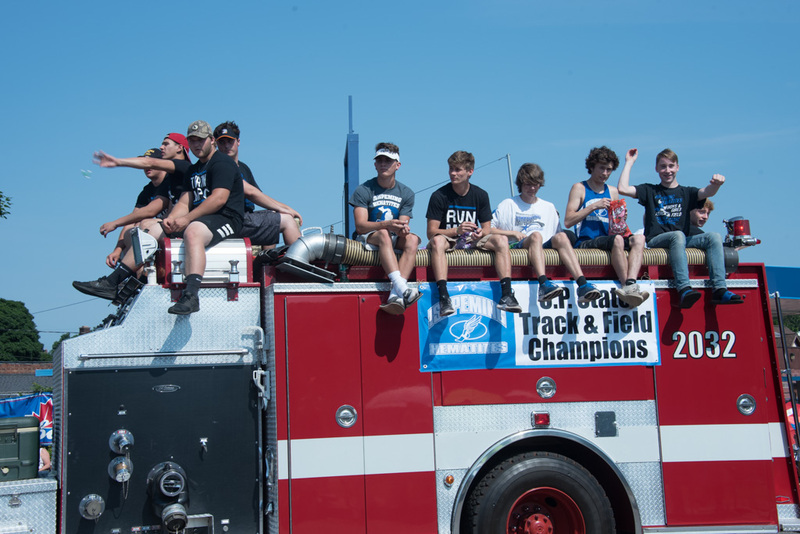 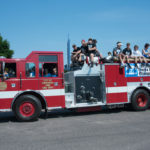 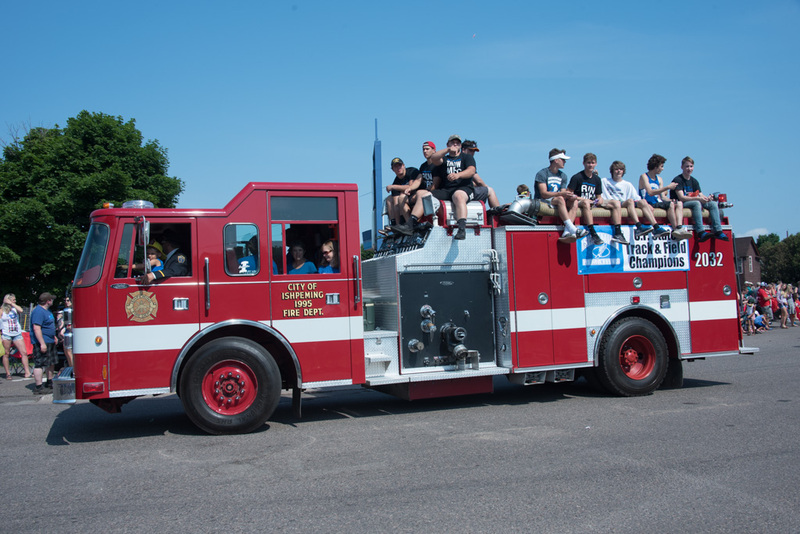 Ishpeming's Track and Field team road on one of the fire trucks. 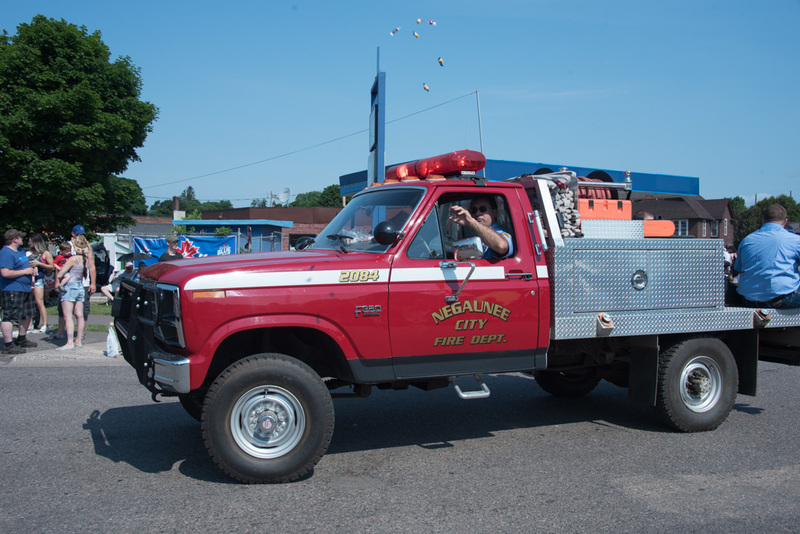 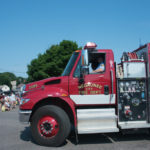 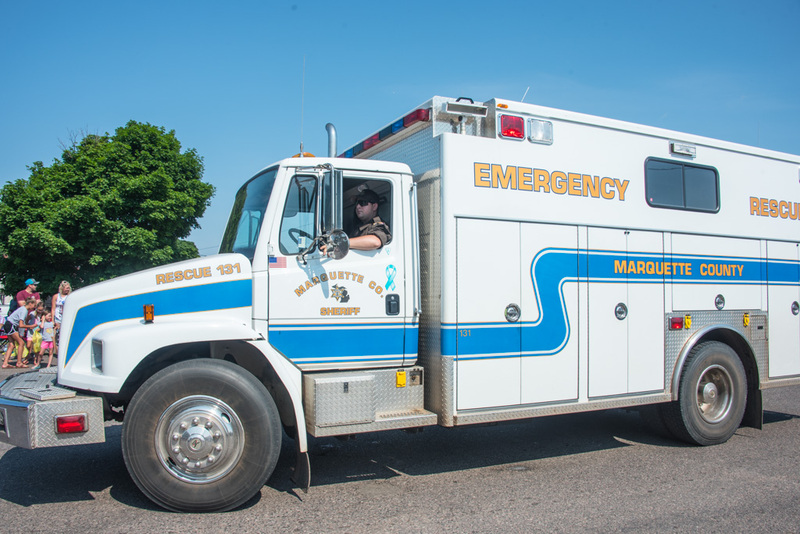 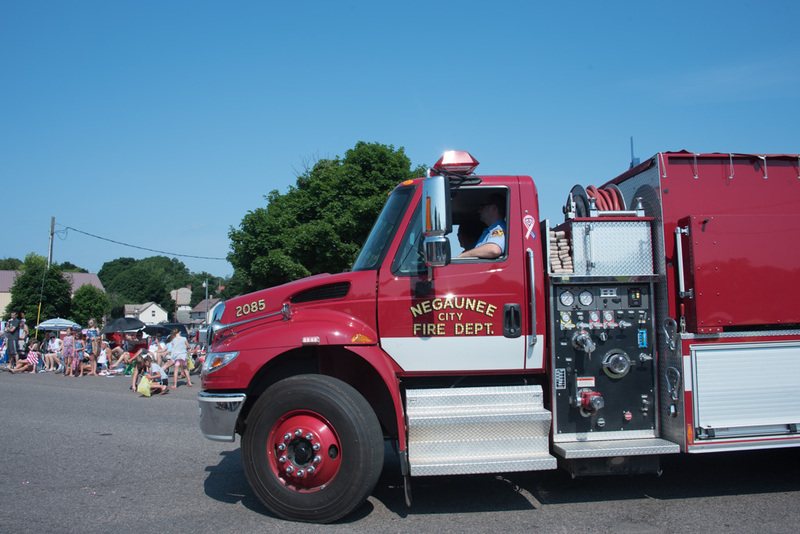 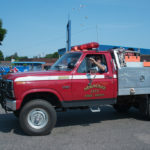 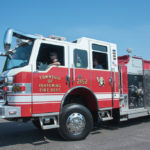 Negaunee's Fire Department joined the Ishpeming Fun. 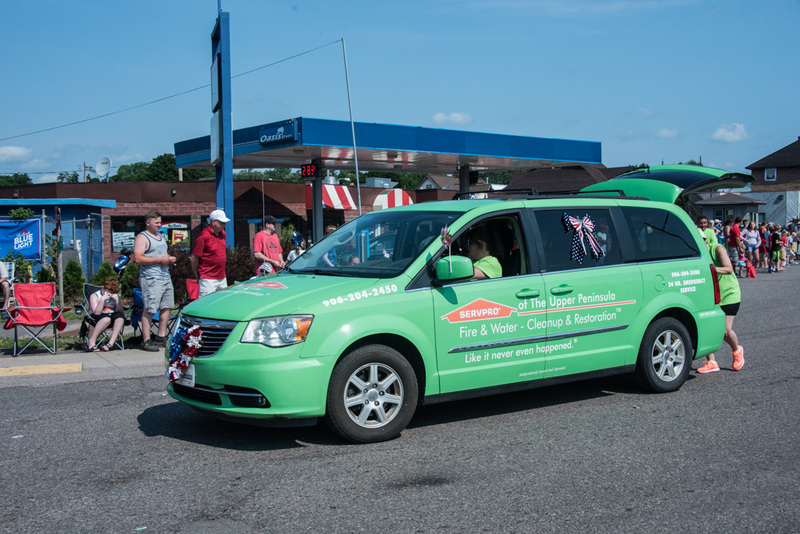 Can't miss that bright green ServPro van! 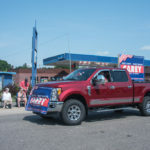 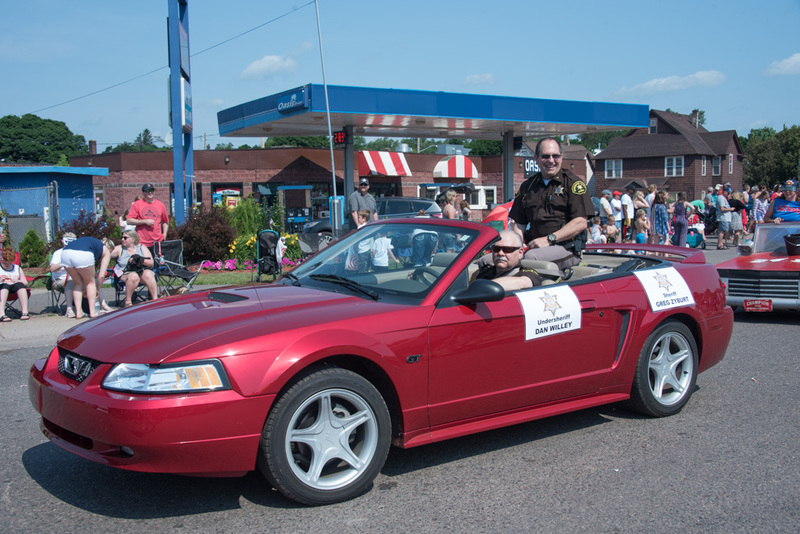 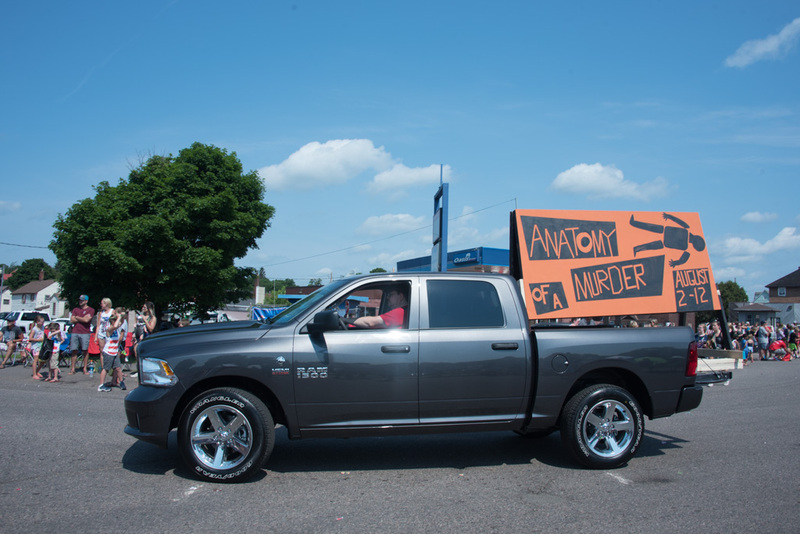 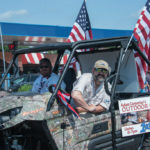 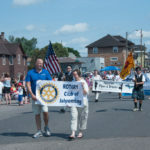 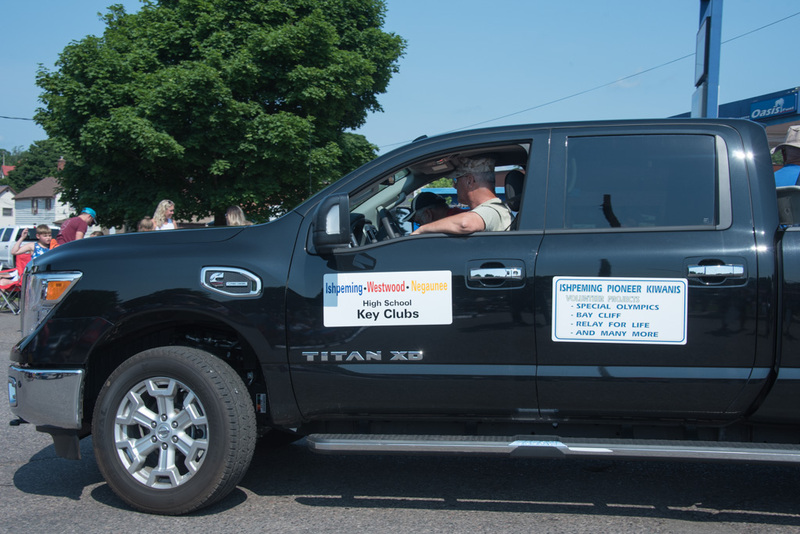 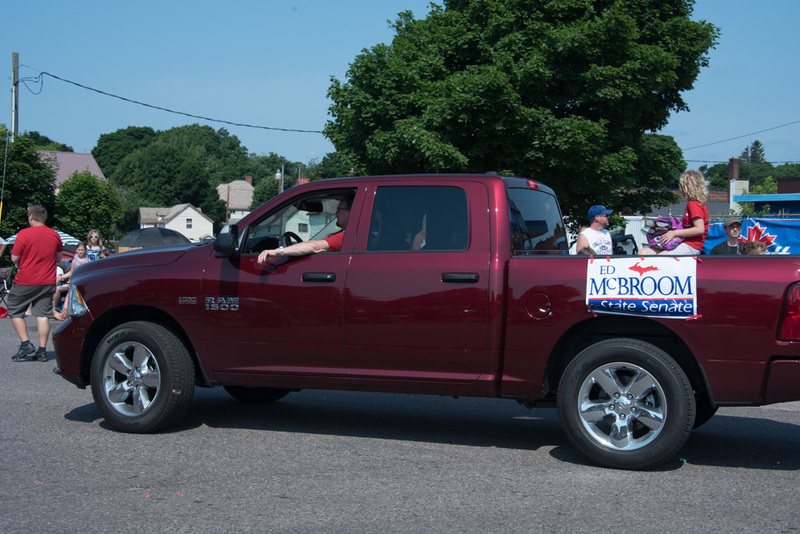 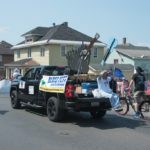 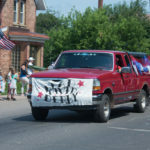 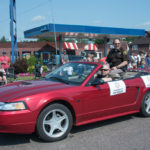 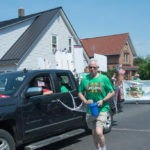 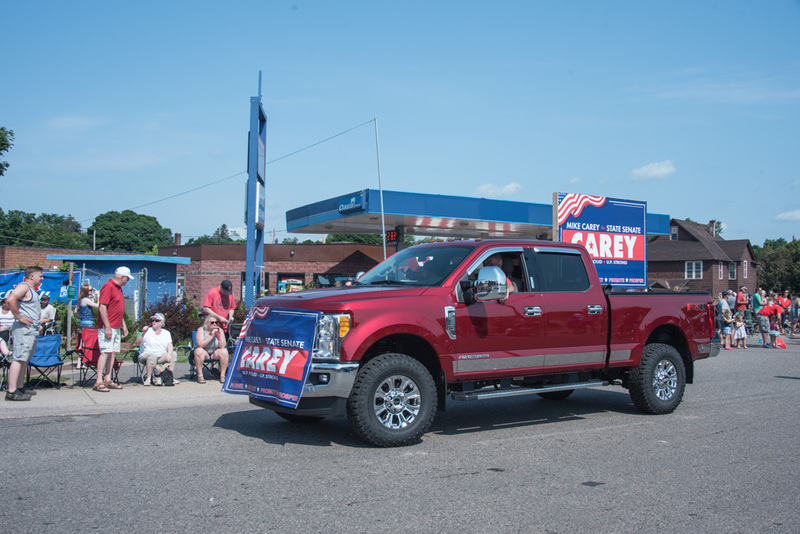 Promotions for Mike Carey For Senate in the Ishpeming 4th of July Parade. 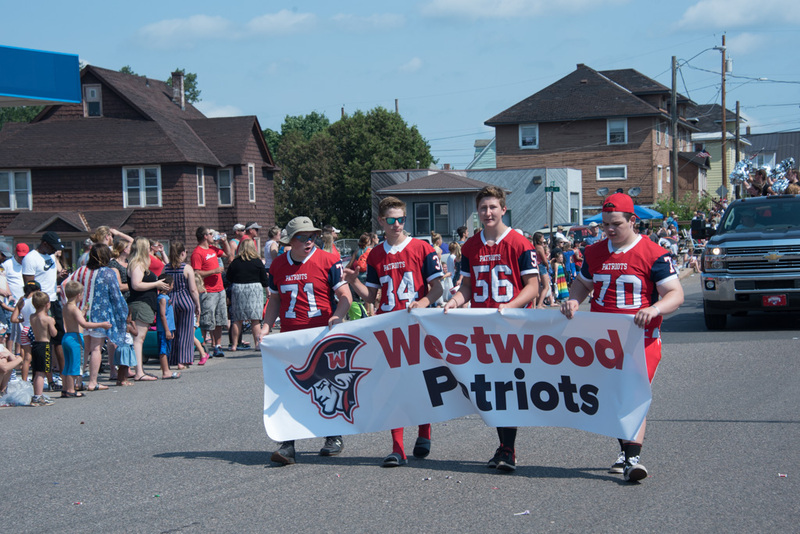 Westwood's Wrestling team was walking in the parade. 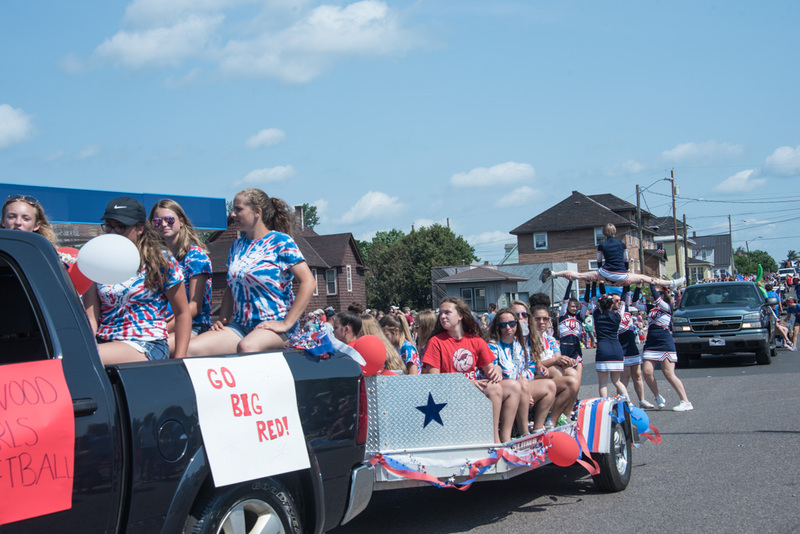 Here's a fun one. 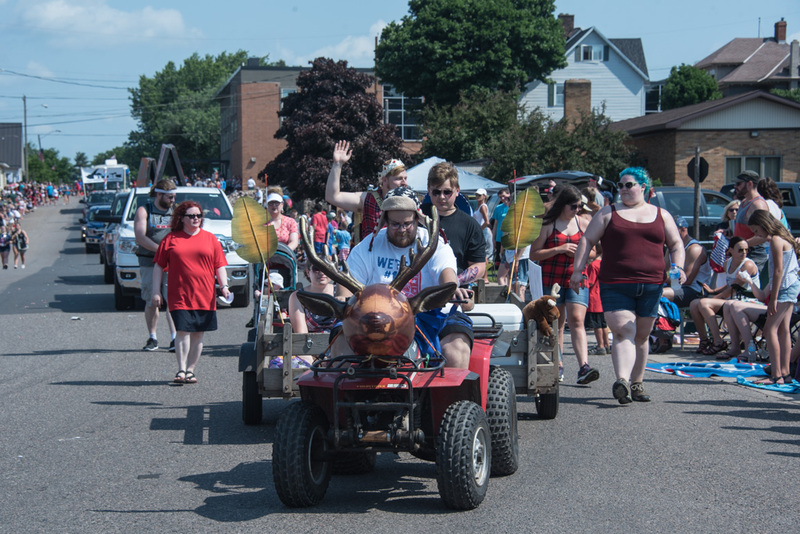 Yes that is an inflatable deer head. 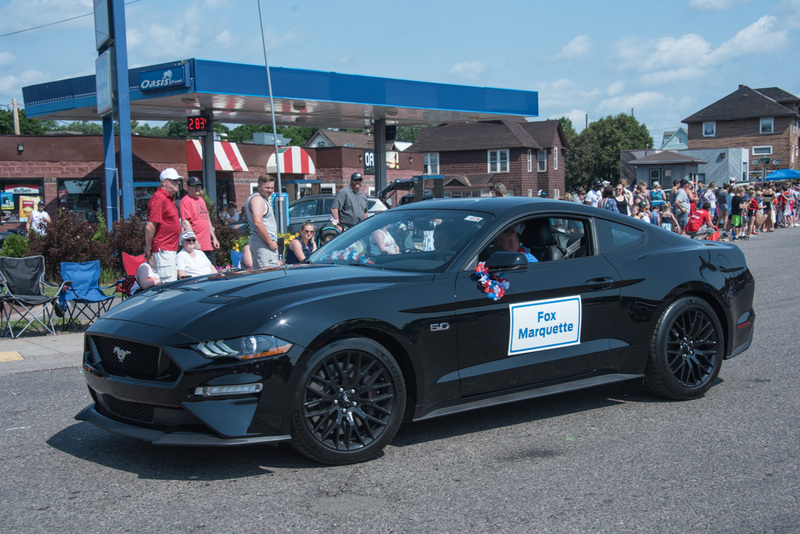 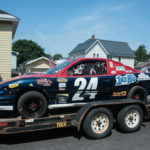 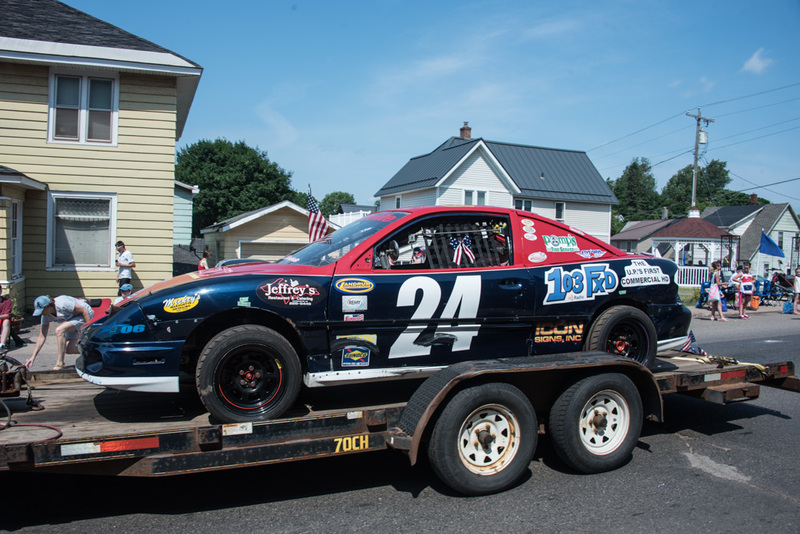 Fox Motors - Team U.P.! 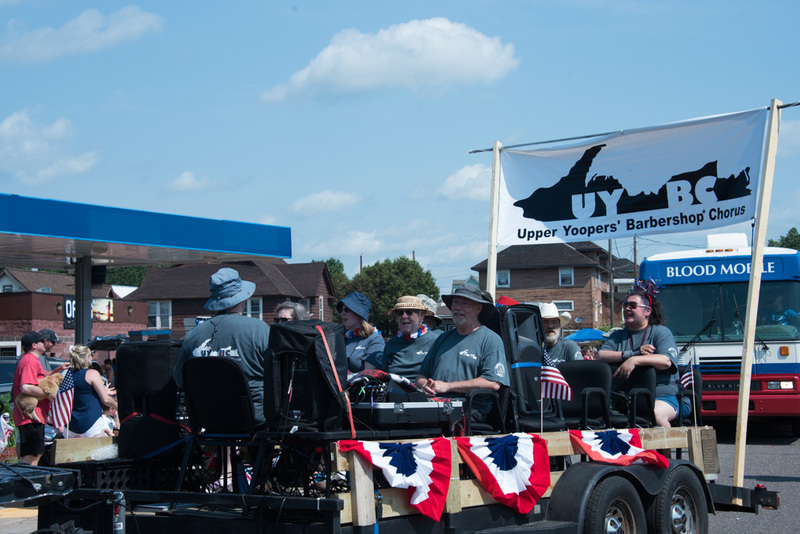 The Upper Yoopers' Barbershop Chorus. 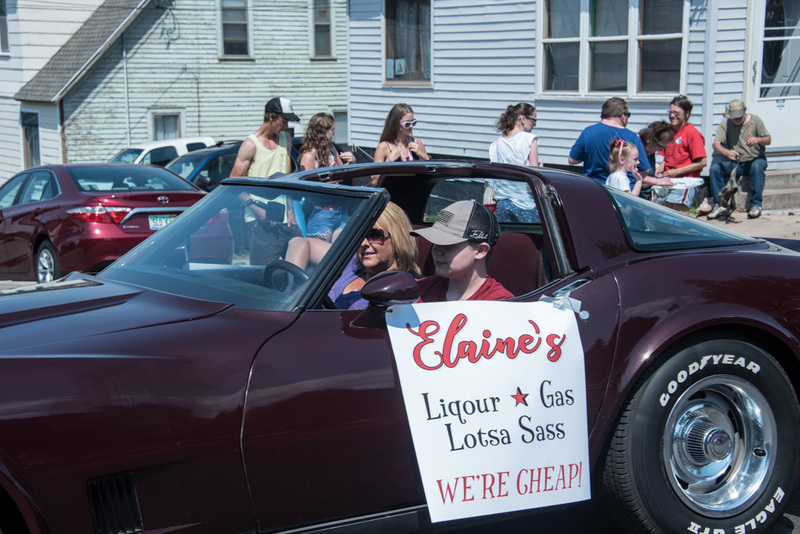 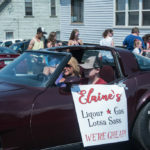 The Parade went right by Elaine's on Third Street! 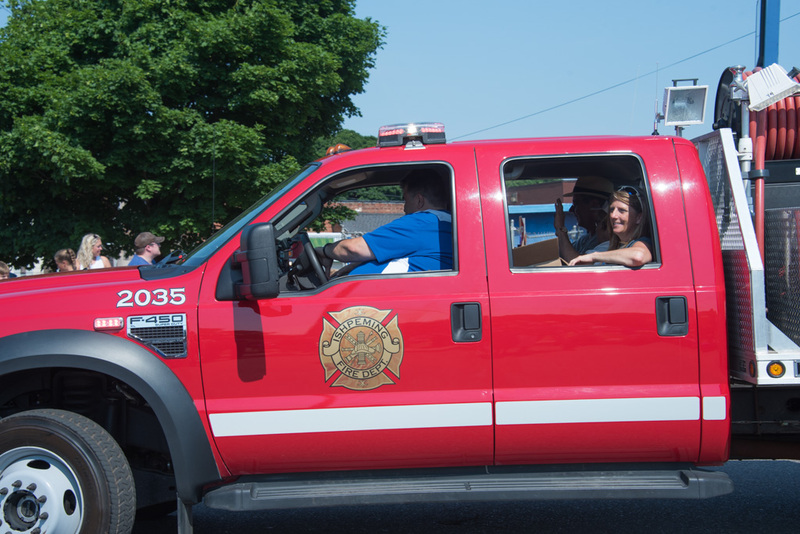 More Royalty - The Pioneer Princess.